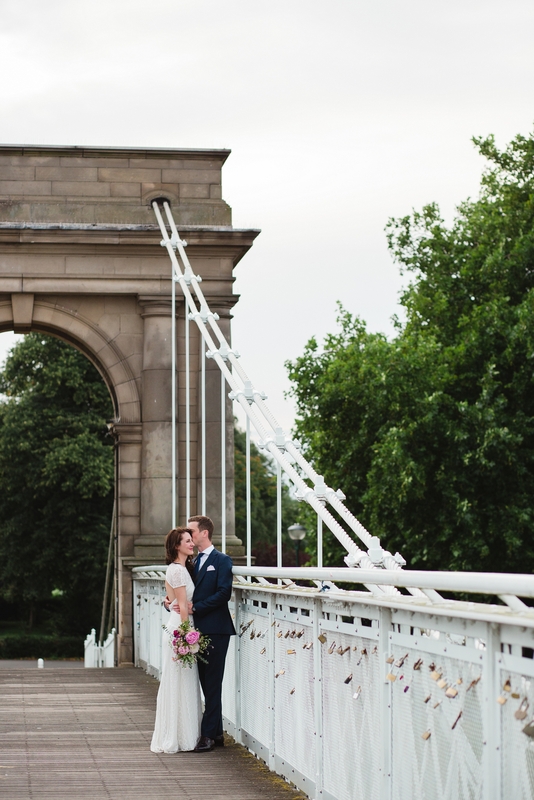 I’ve been jumping up and down with excitement waiting to share this contemporary inner city wedding. 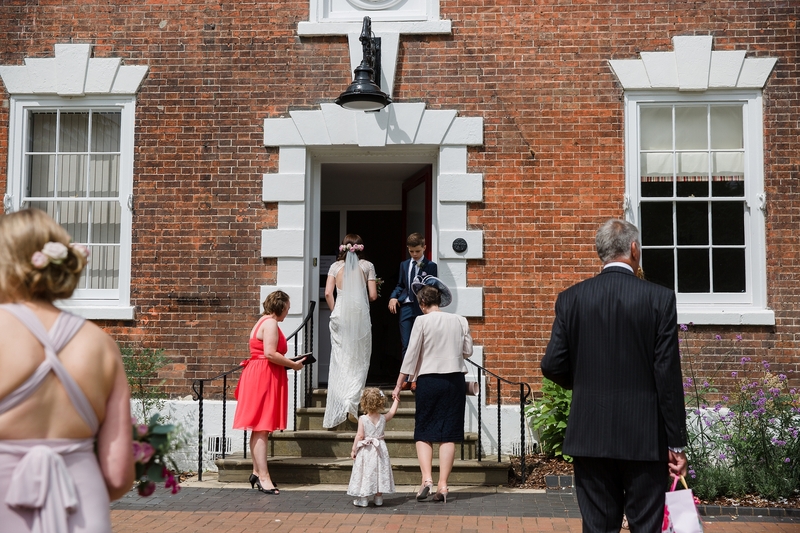 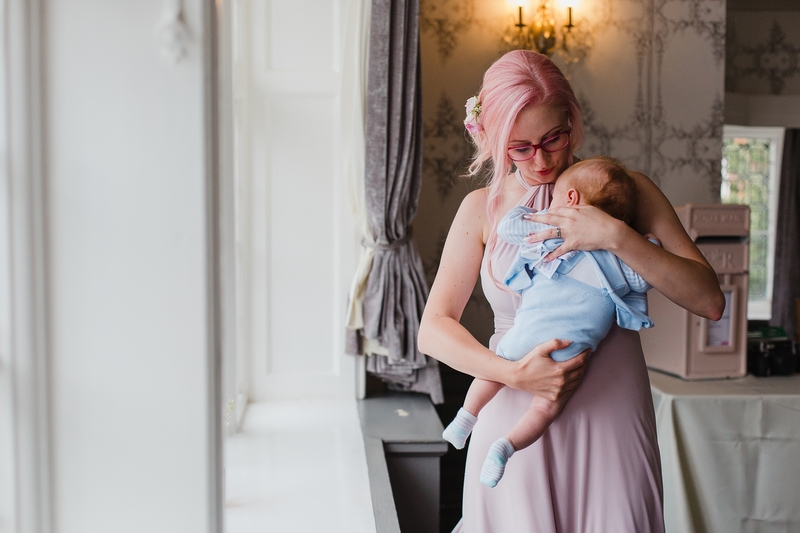 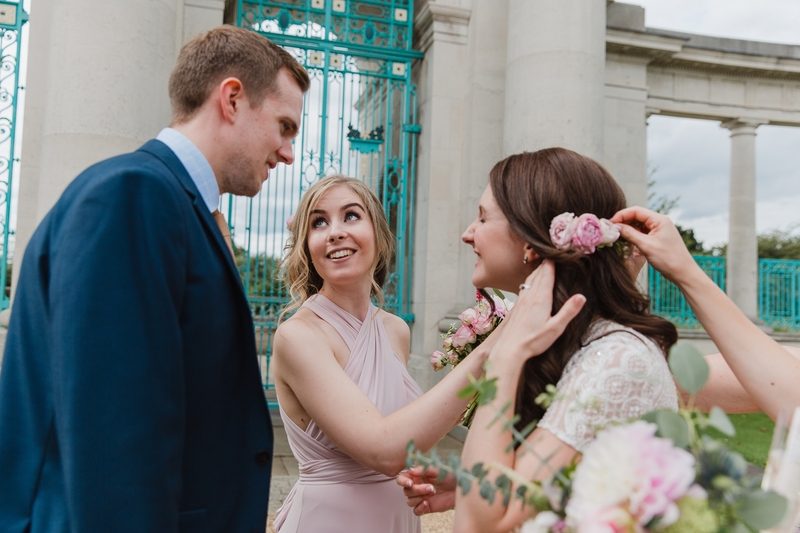 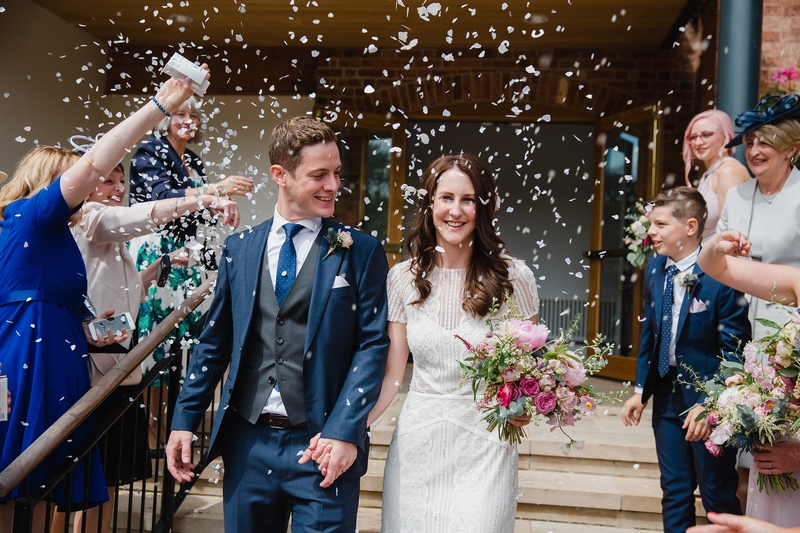 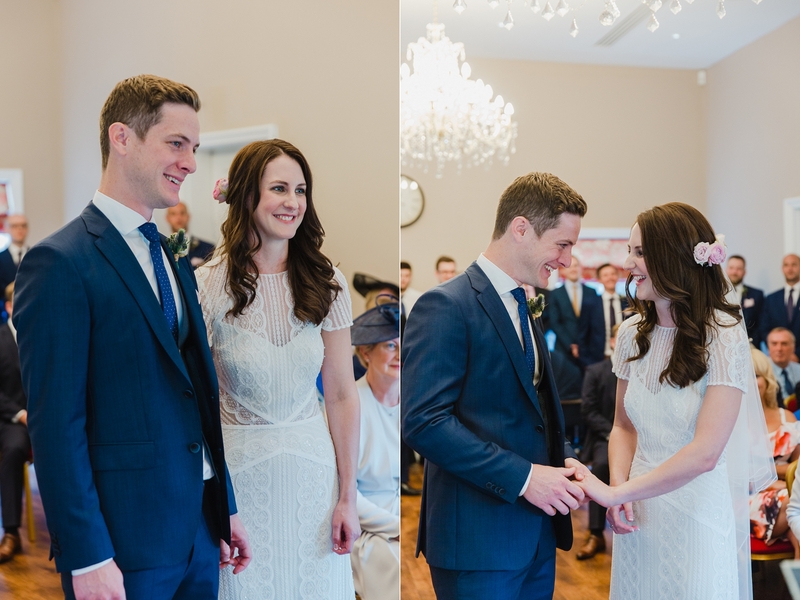 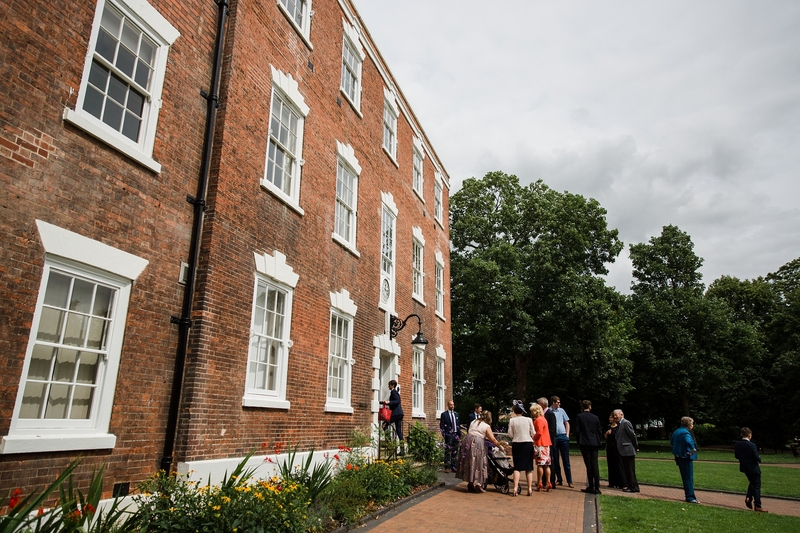 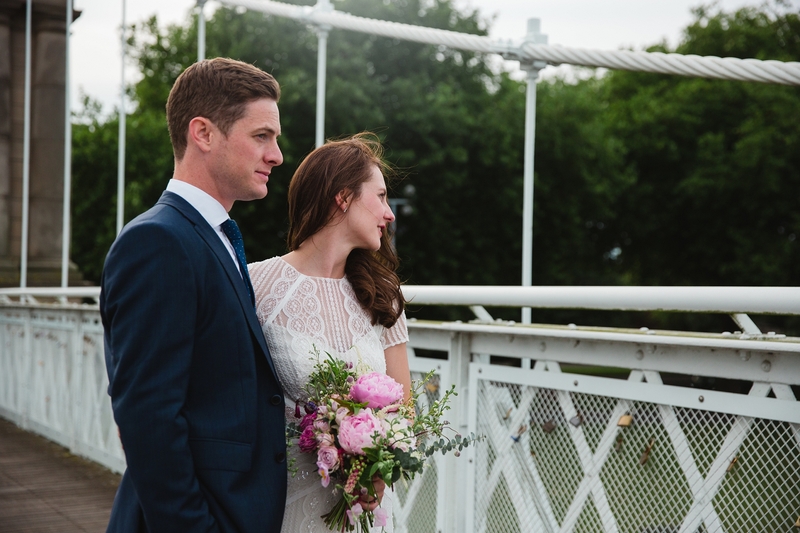 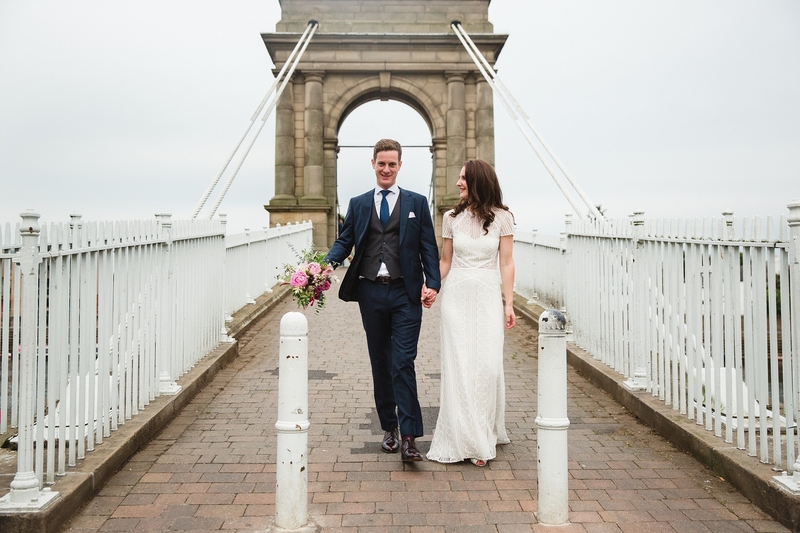 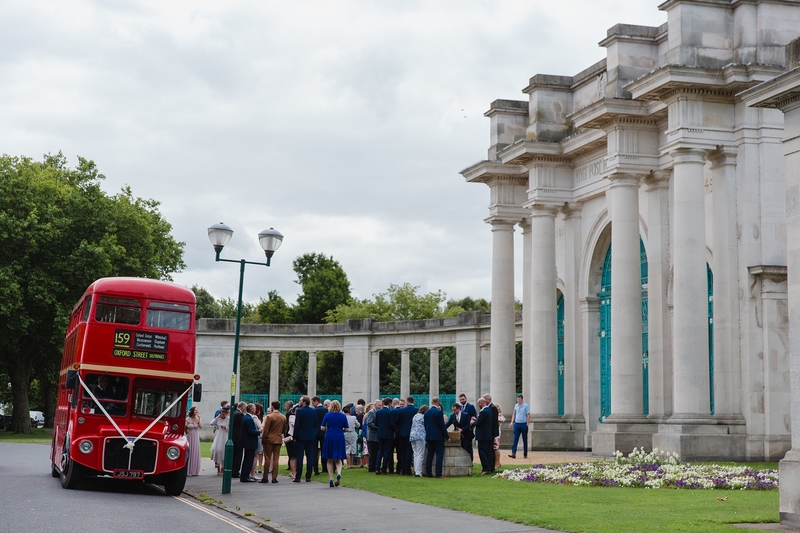 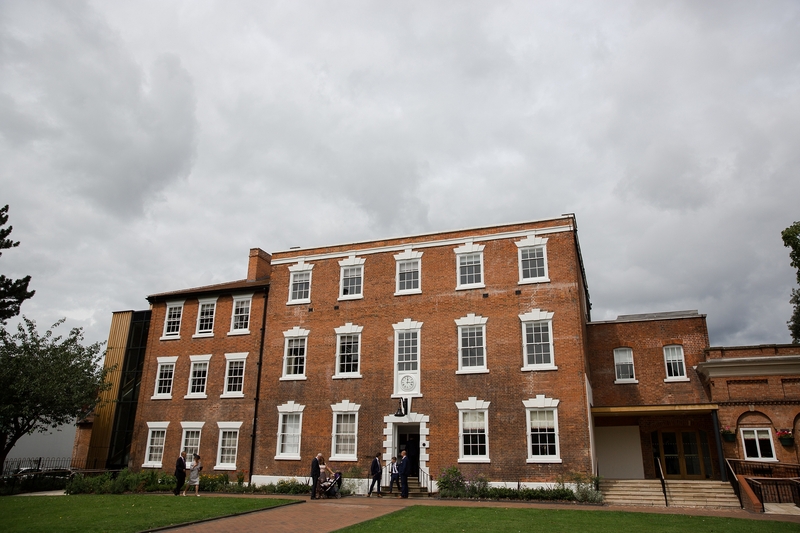 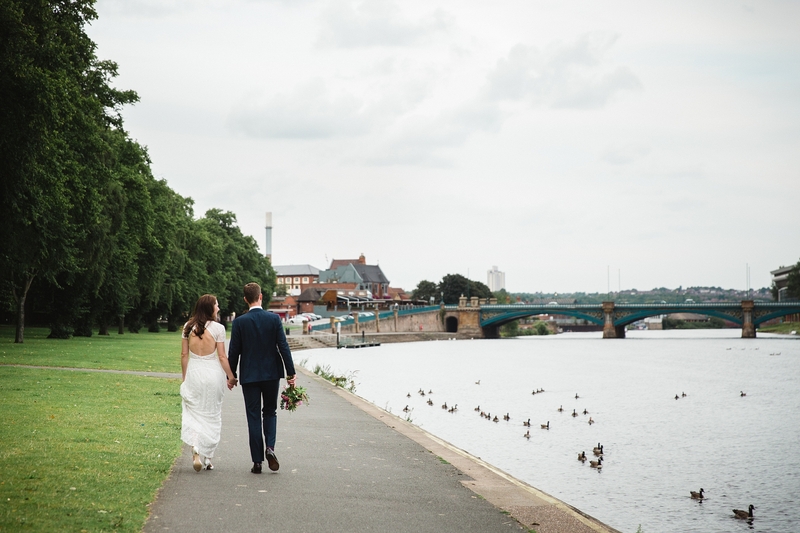 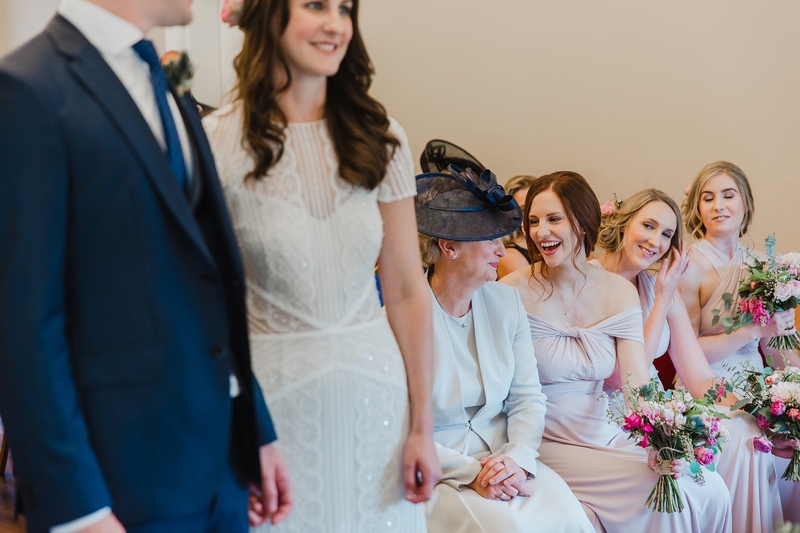 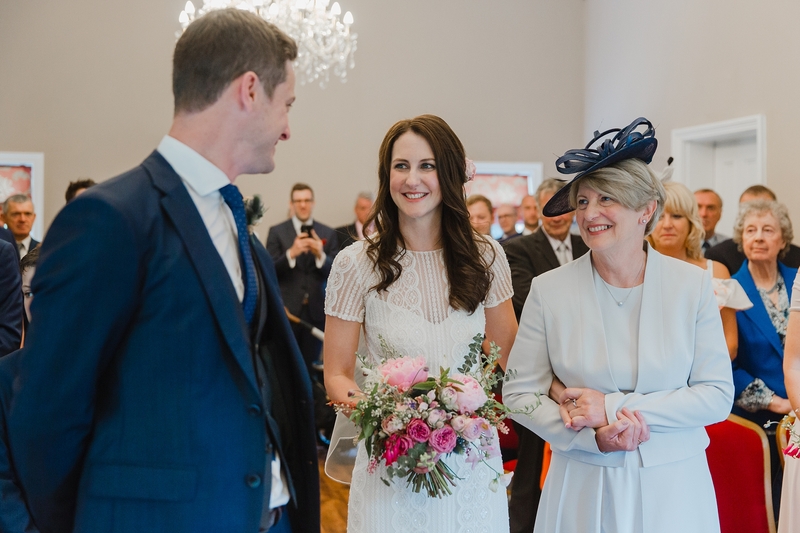 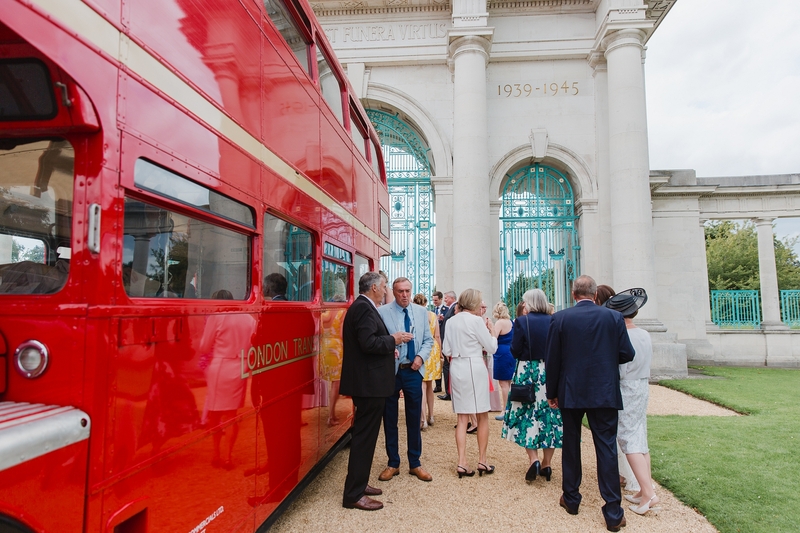 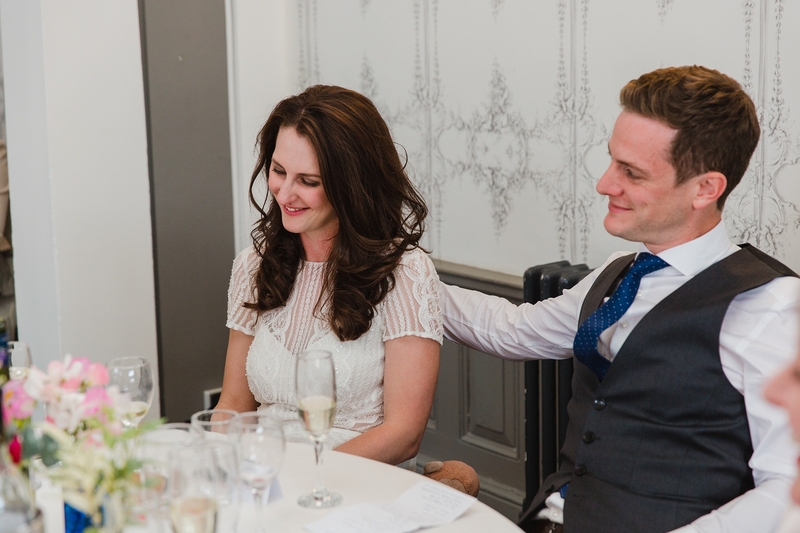 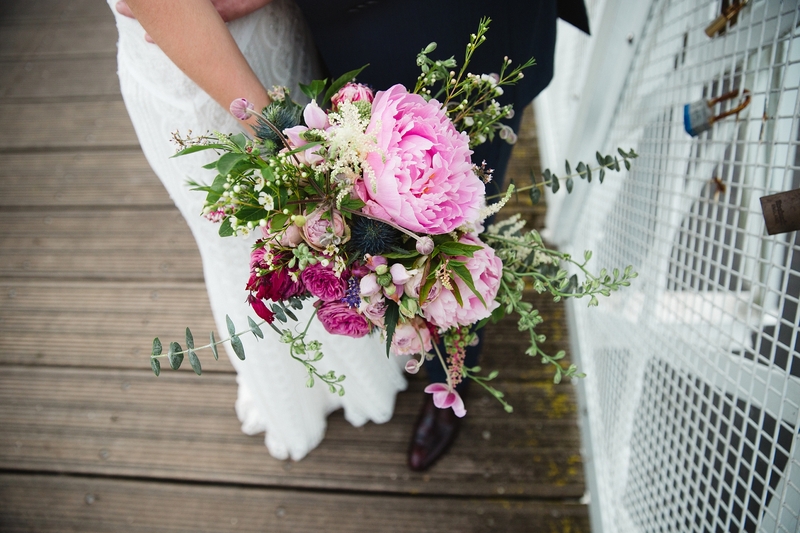 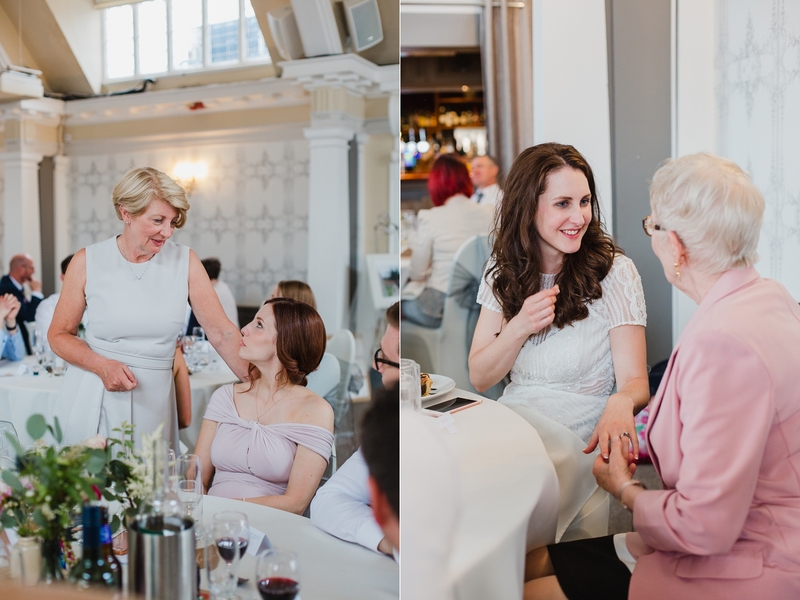 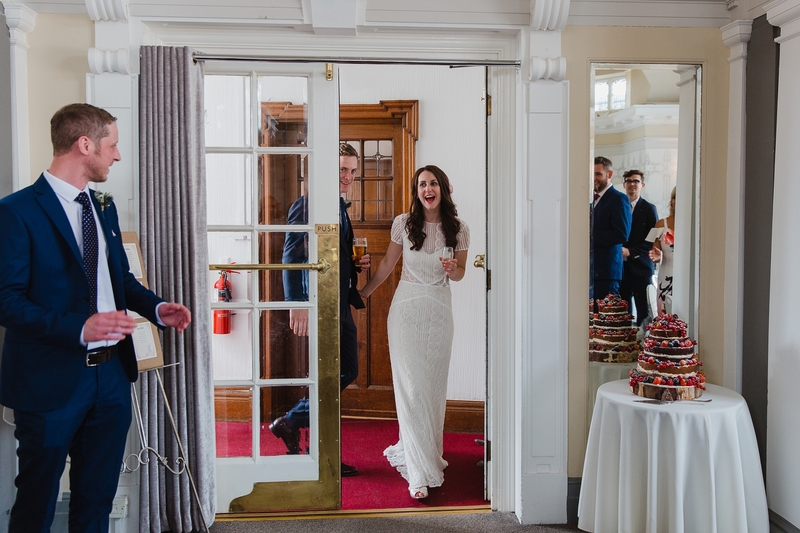 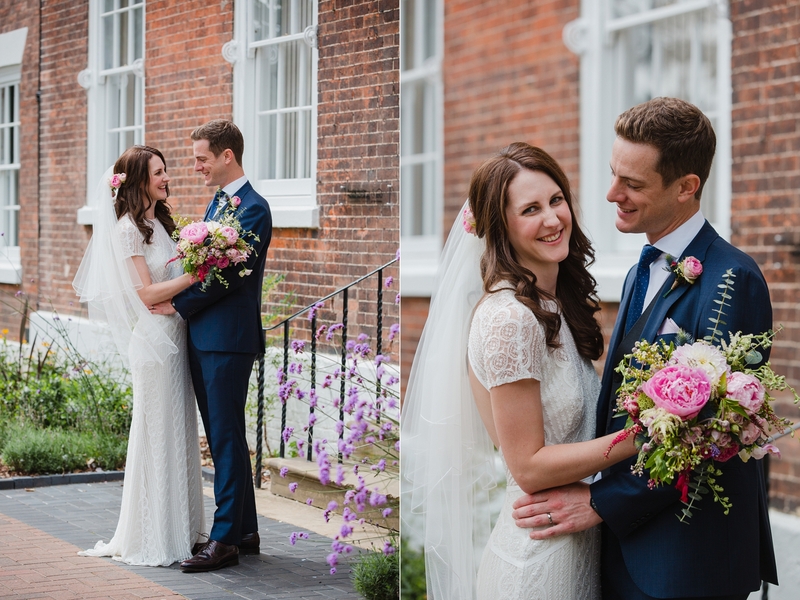 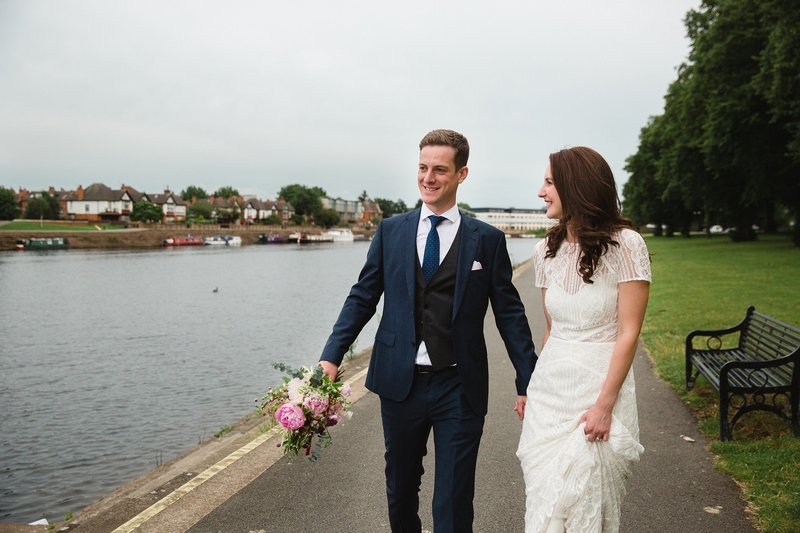 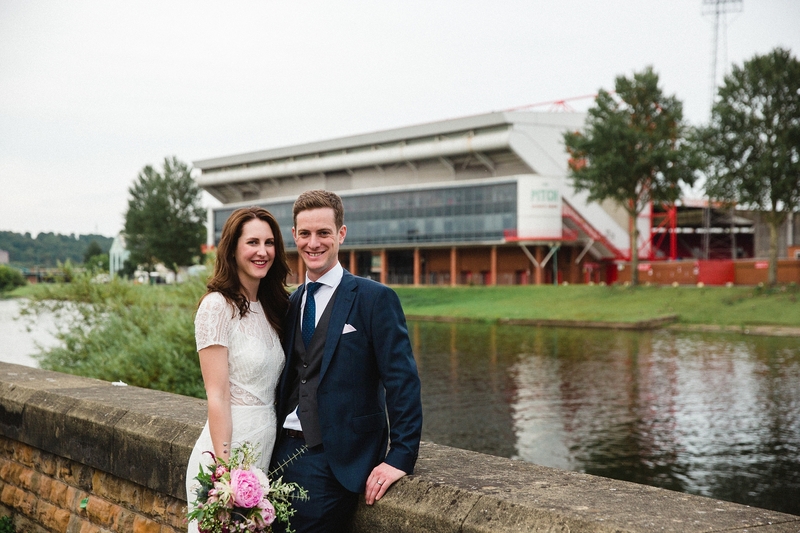 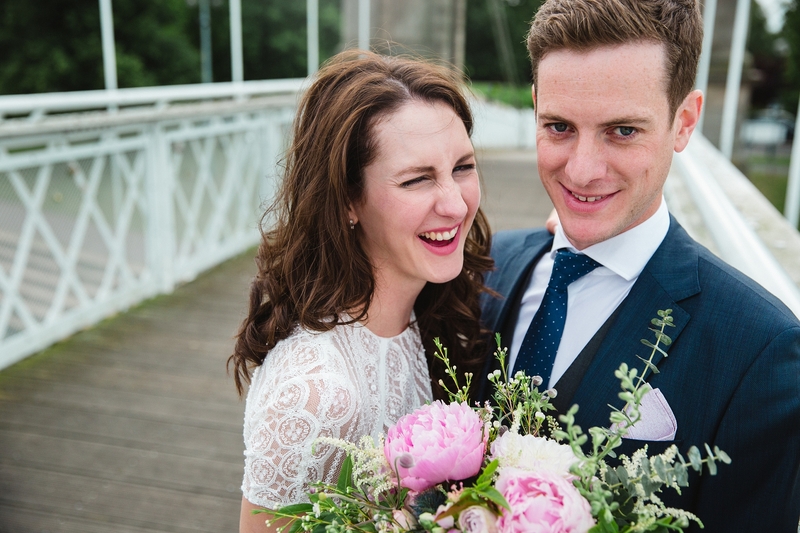 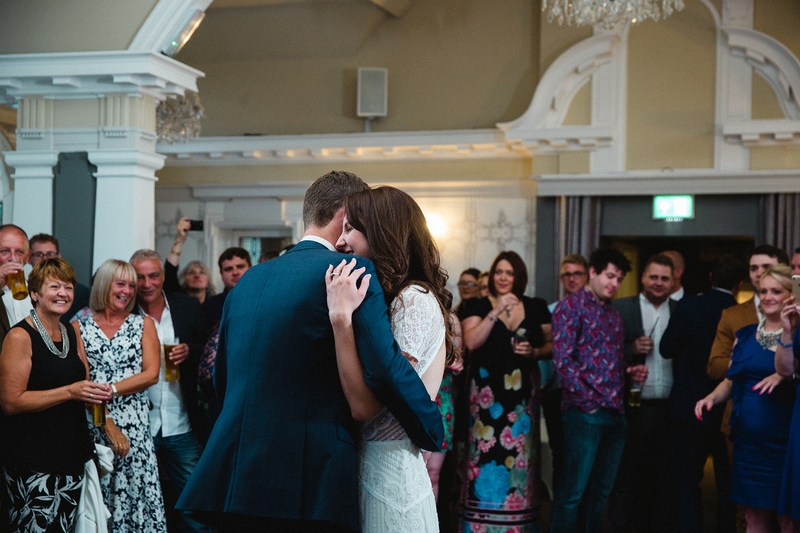 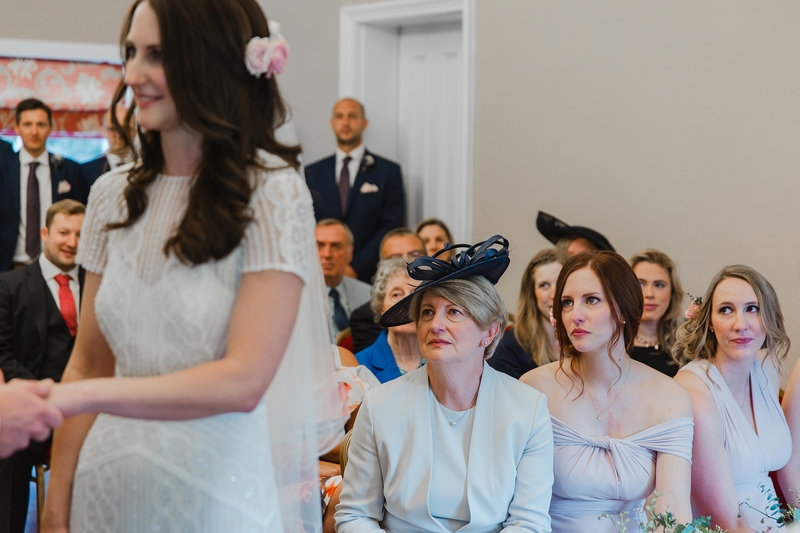 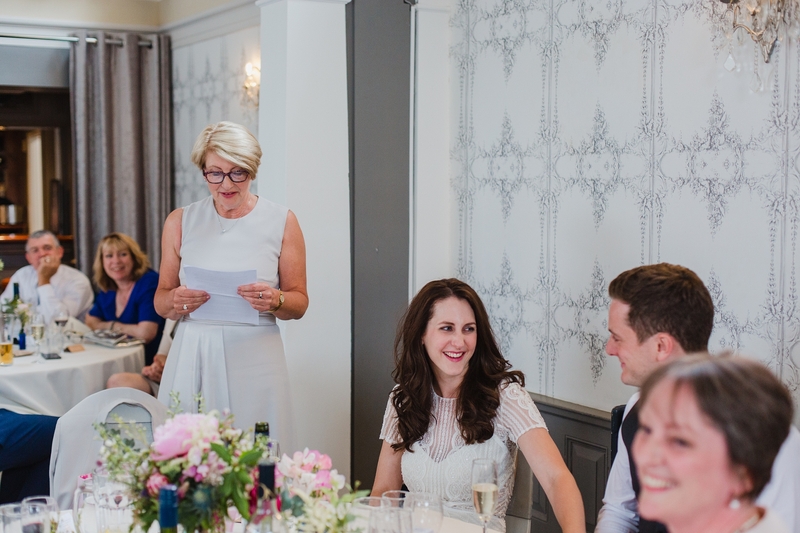 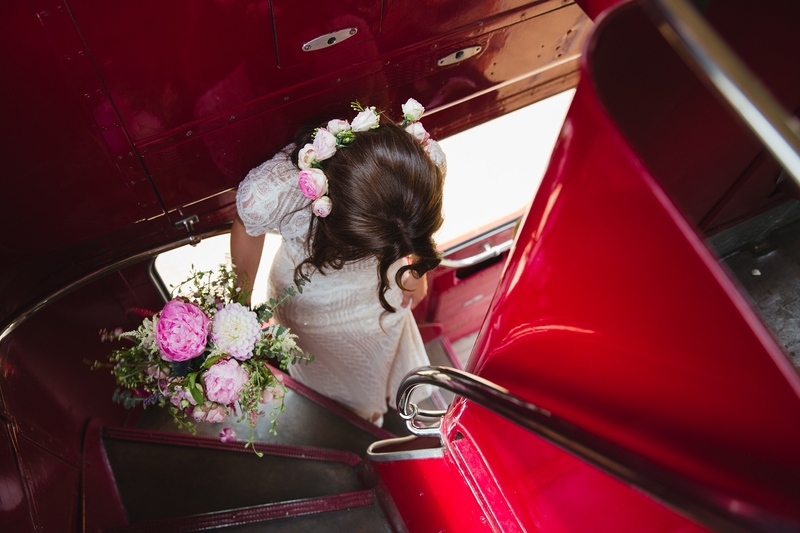 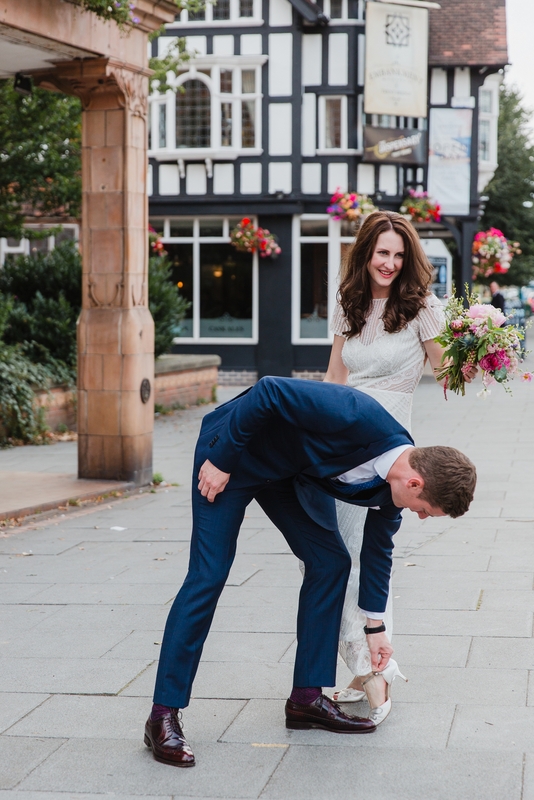 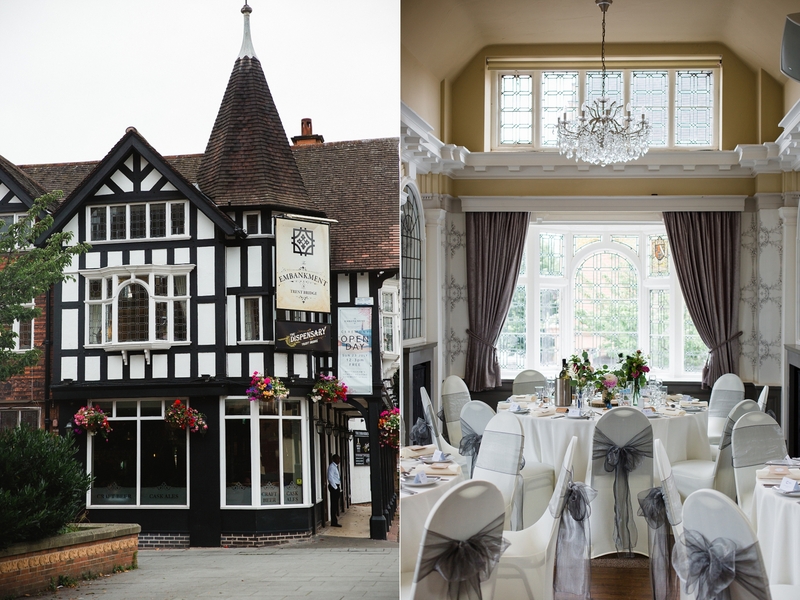 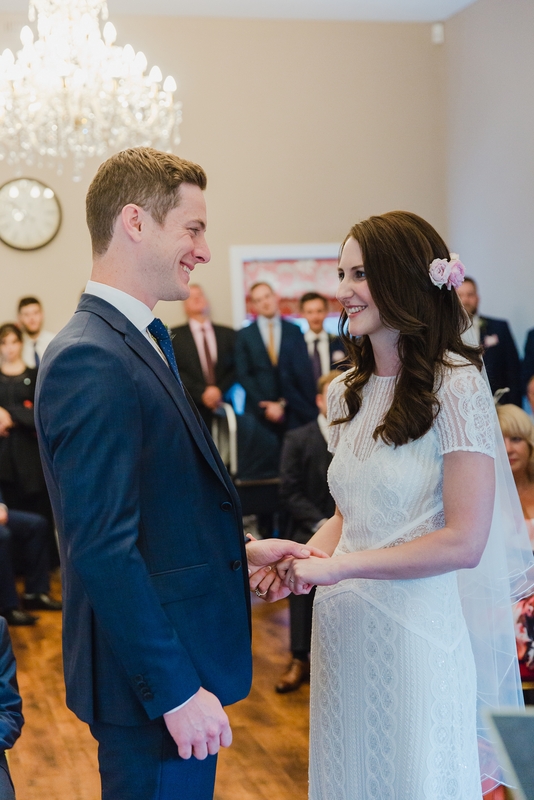 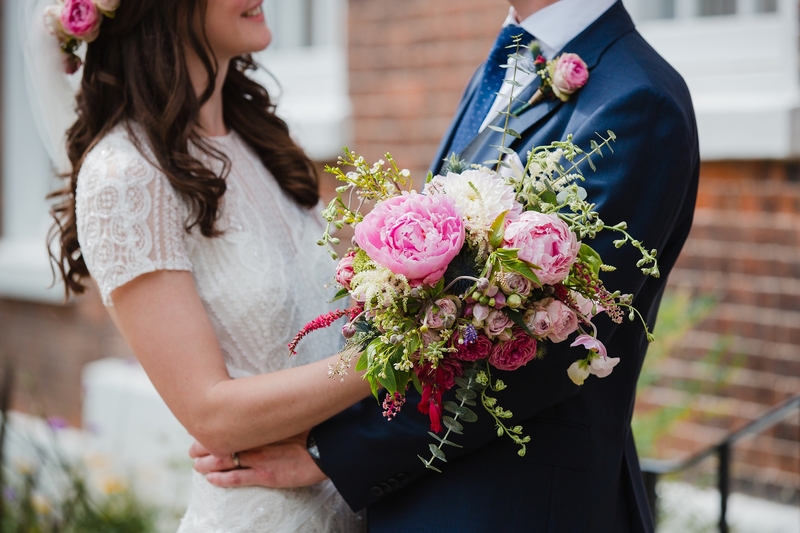 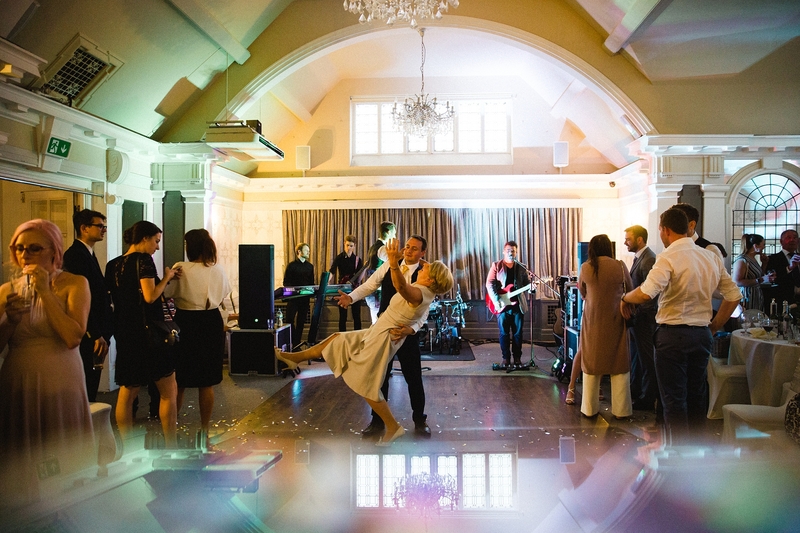 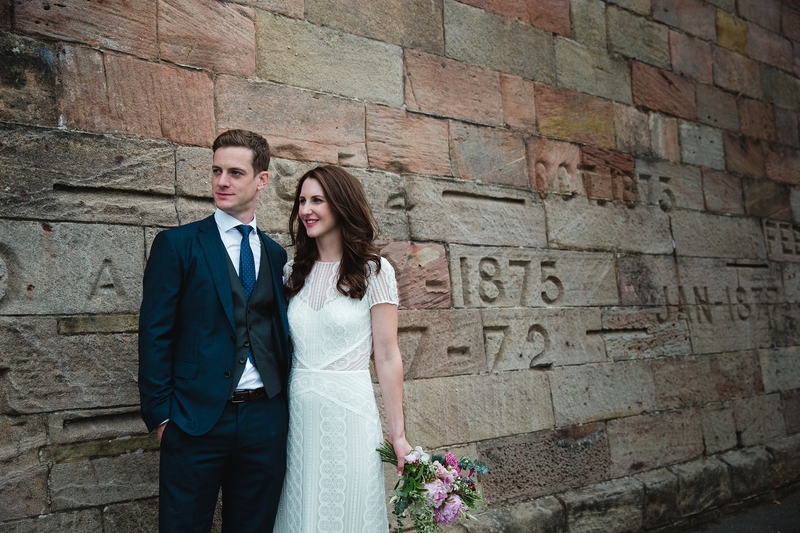 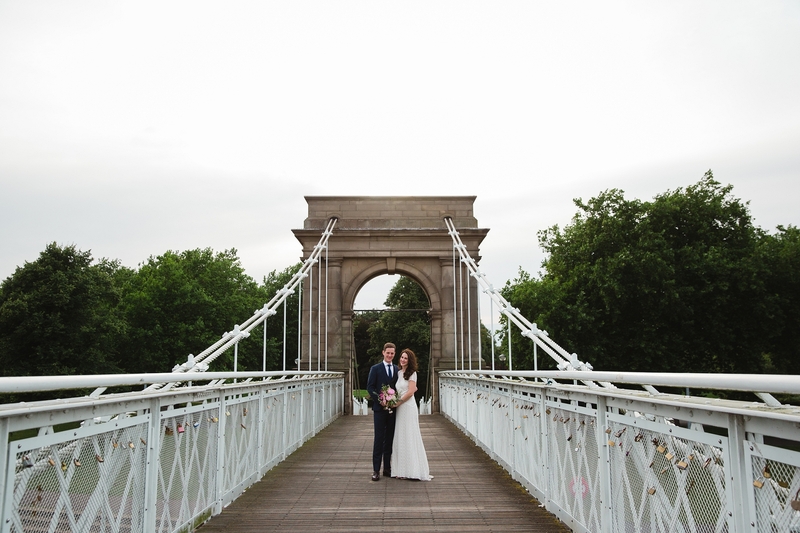 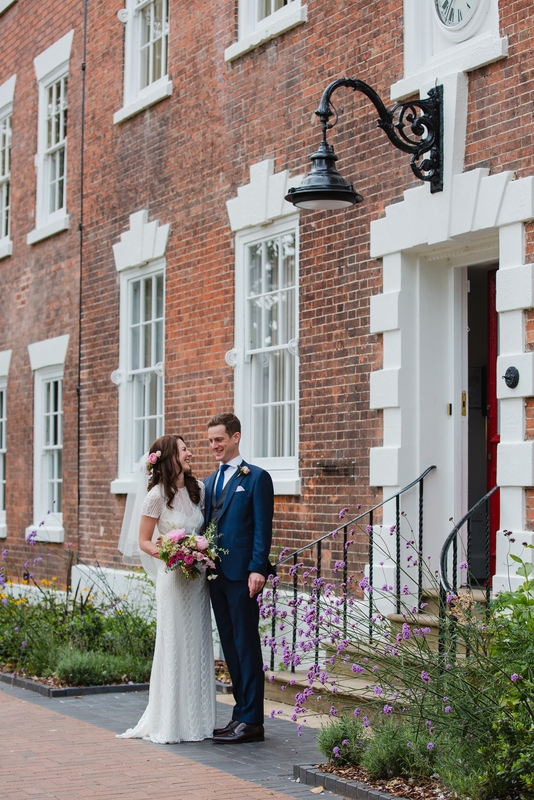 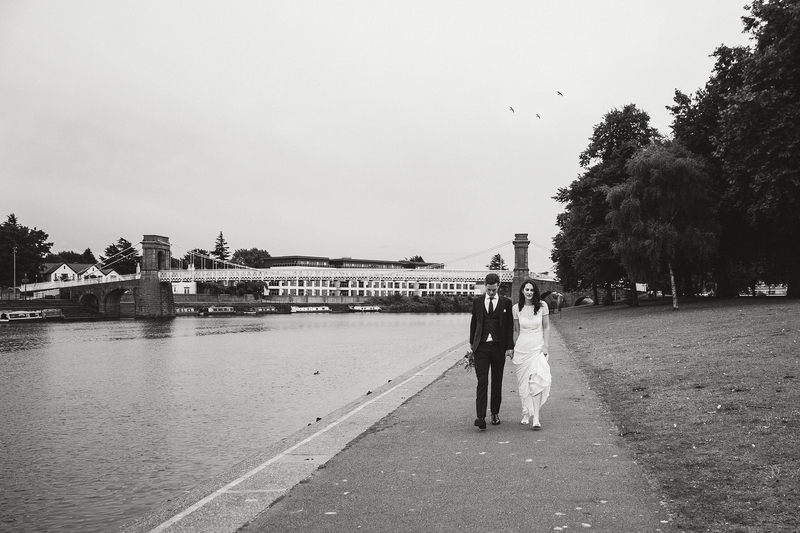 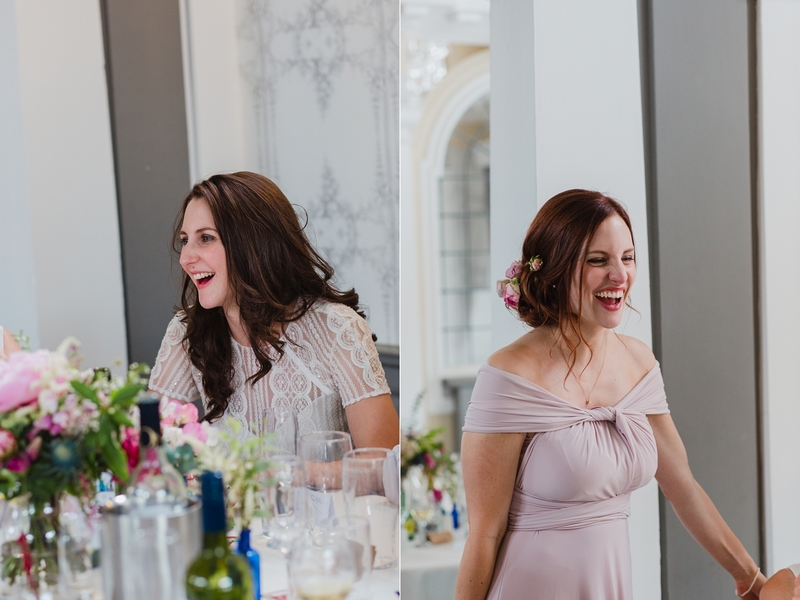 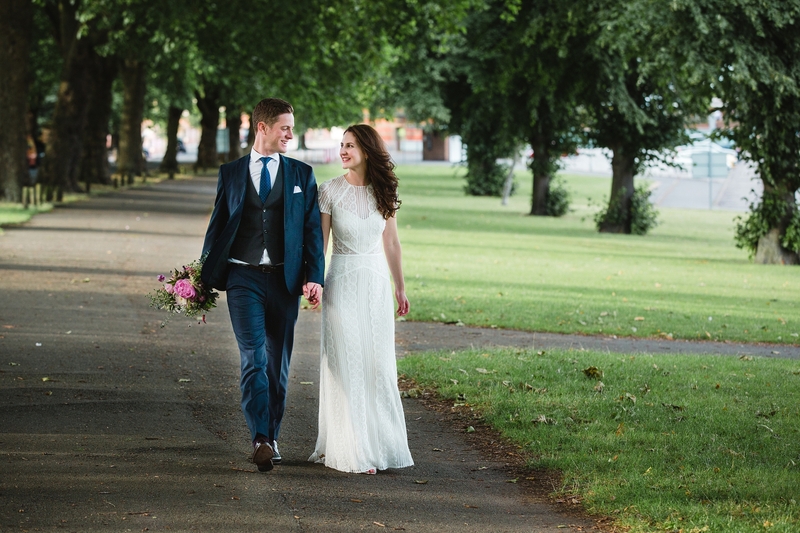 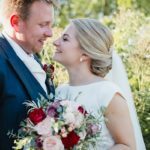 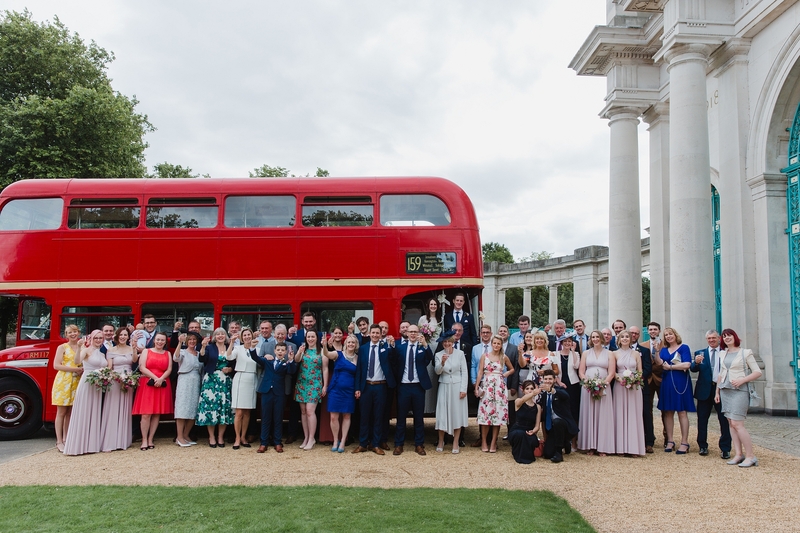 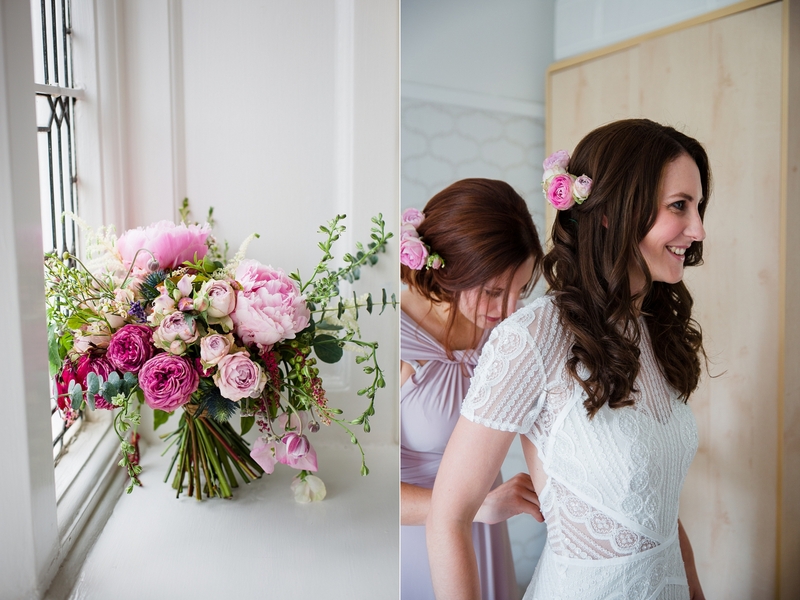 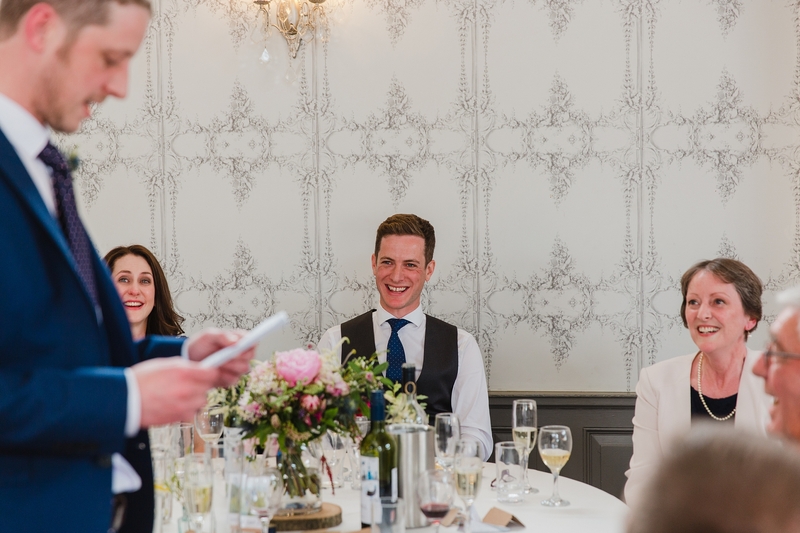 I loved everything about this day, from the intimate nature of the West Bridgford Hall ceremony to the cool Embankment reception venue, this wedding oozed effortless chic. 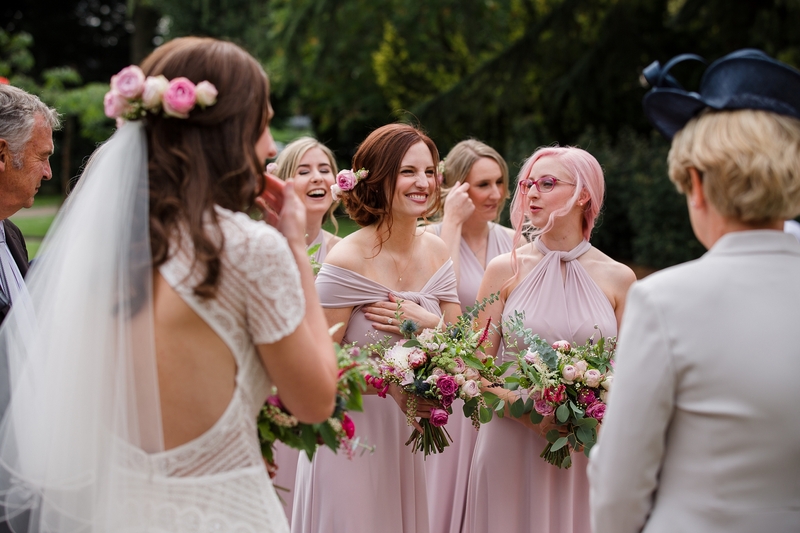 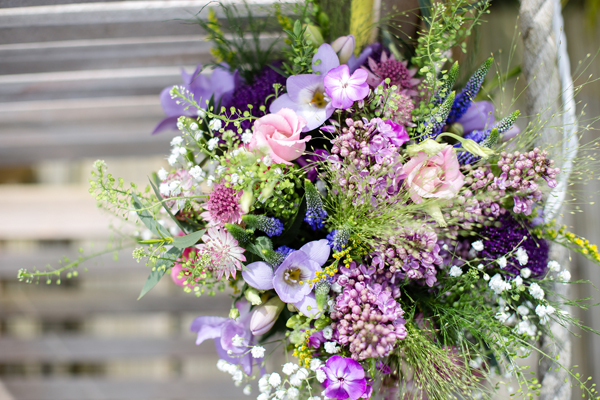 It was understated yet beautifully vibrant and I think this entirely due to the nature of the lovely couple and their fabulous friends and family. 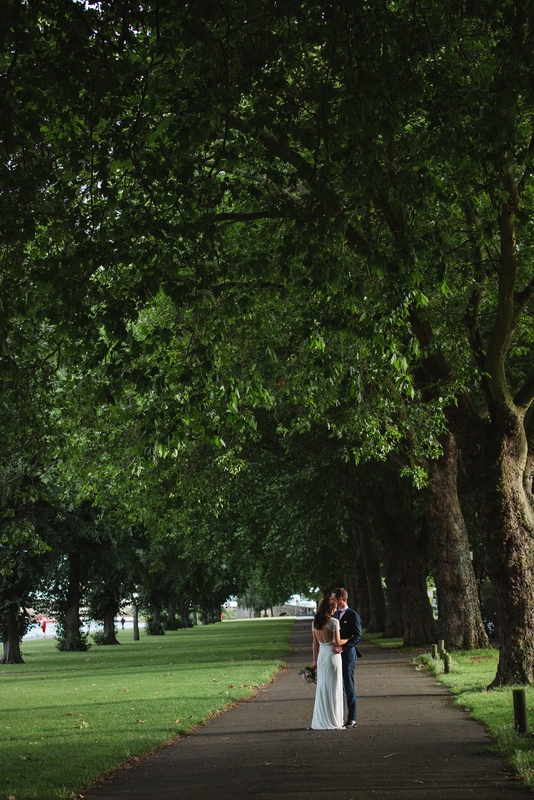 Jess & Dave booked me through a recommendation from Jess’ sister Julia, who’s pretty Norwood Park wedding I photographed last year. 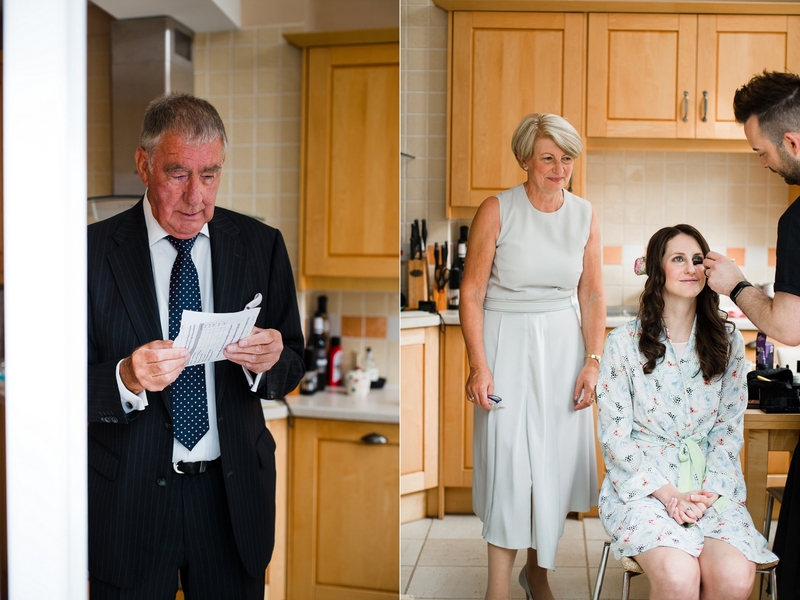 Nothing warms my heart more than being recommended and working with the same family. 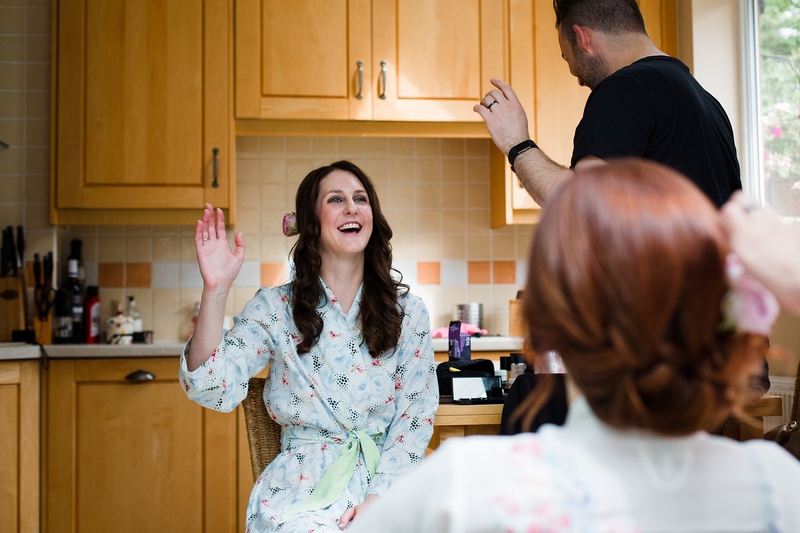 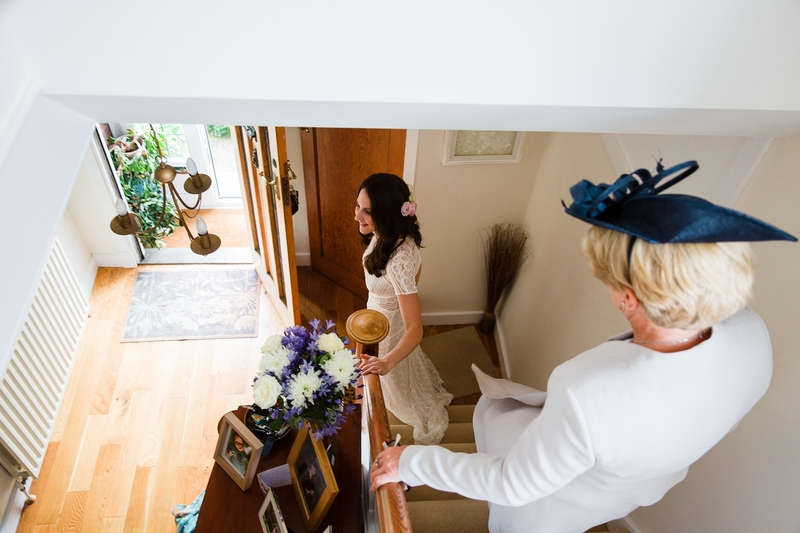 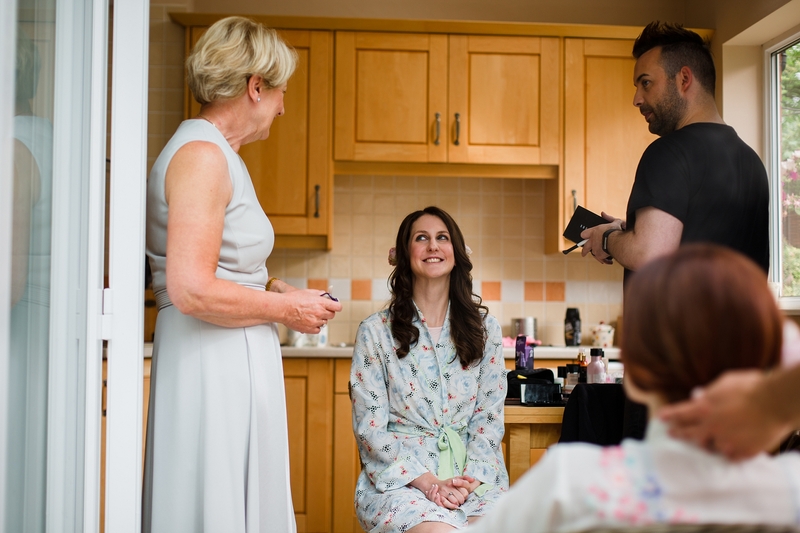 It was lovely to walk into the bridal prep in the morning and know and recognise so many smiling faces, and the smiling didn’t stop all day long. 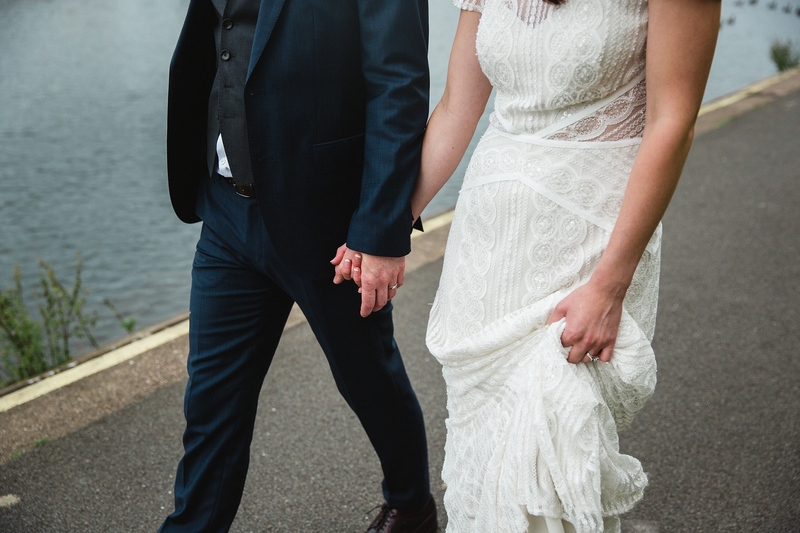 It was definitely a day filled with joy. 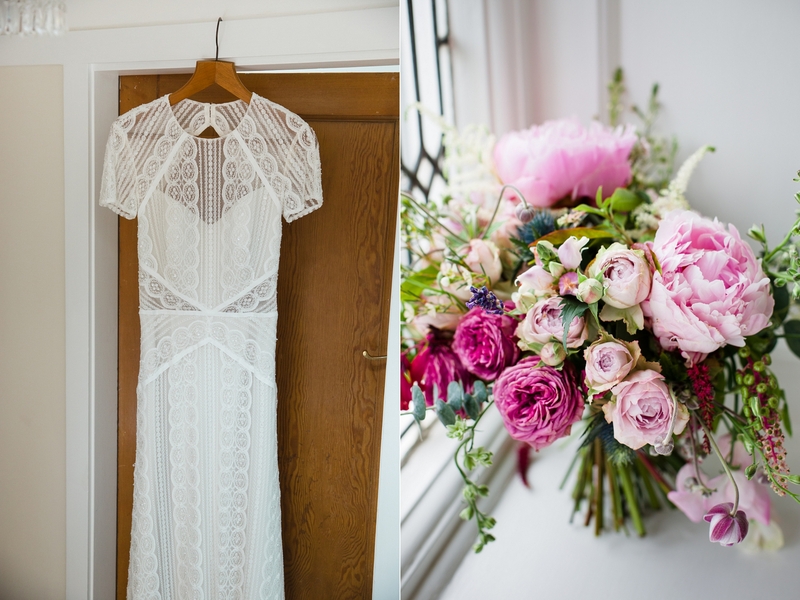 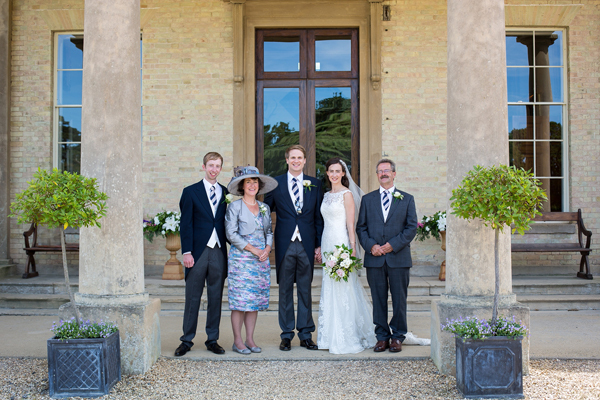 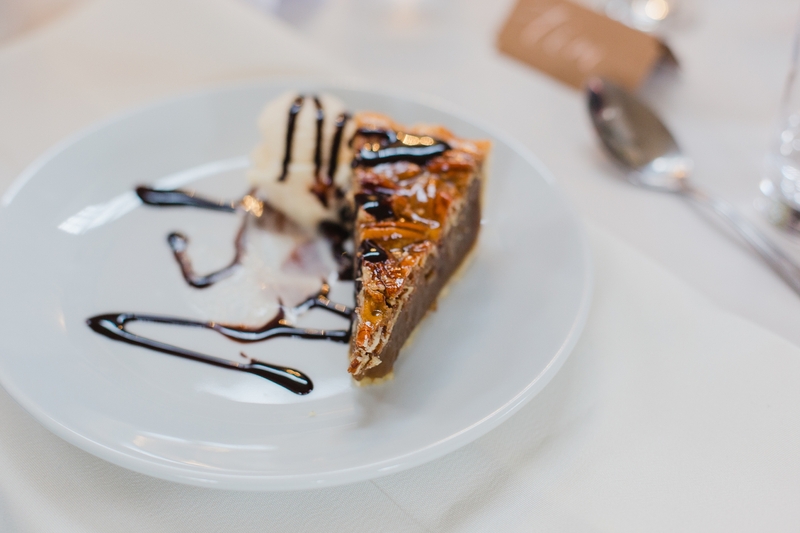 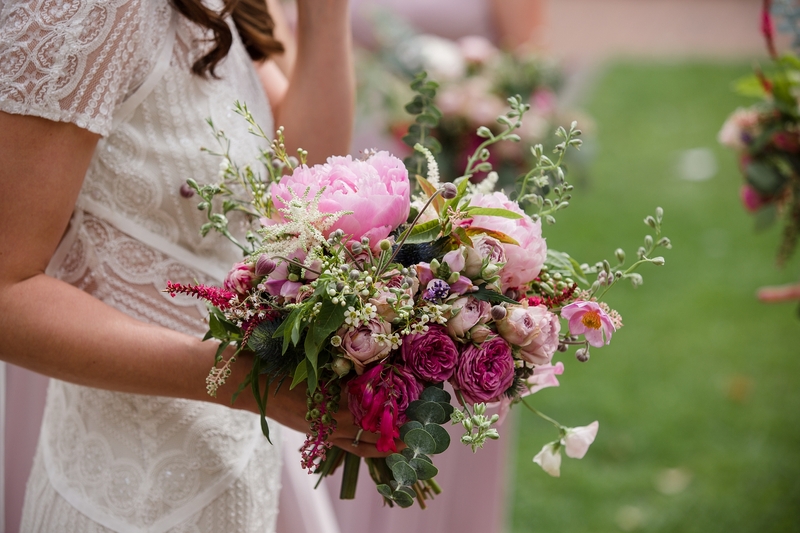 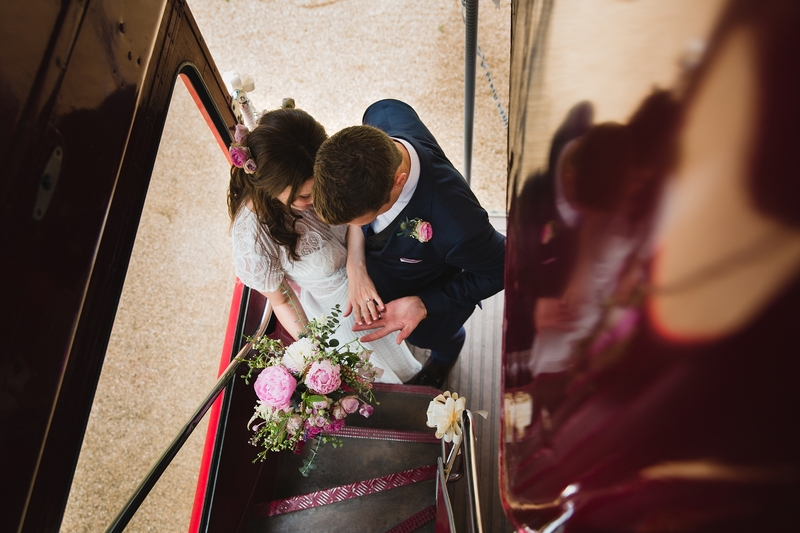 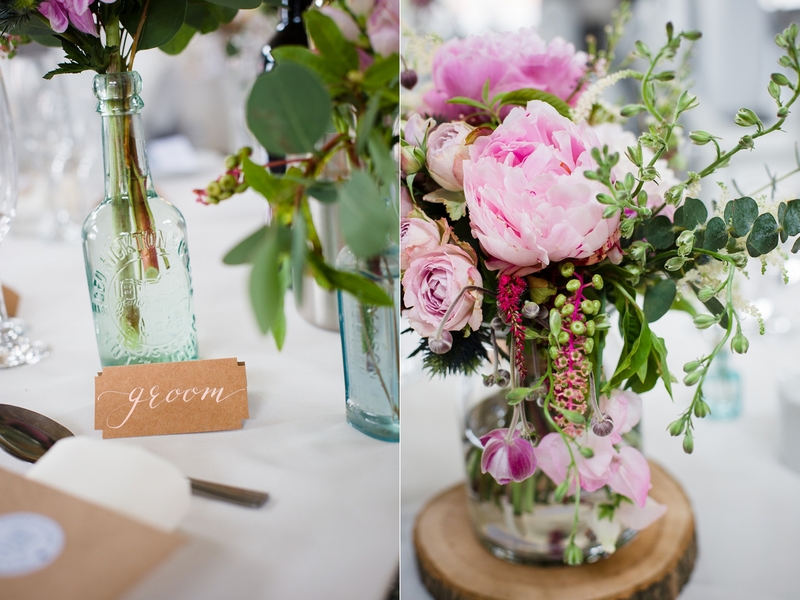 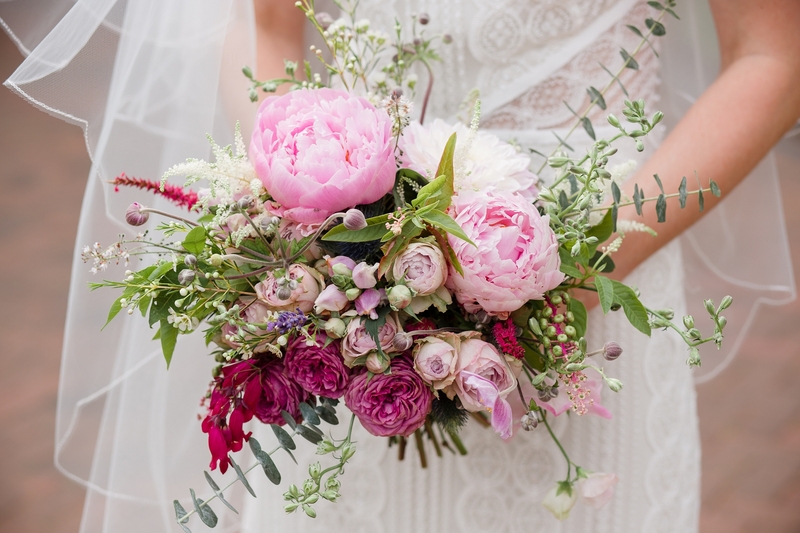 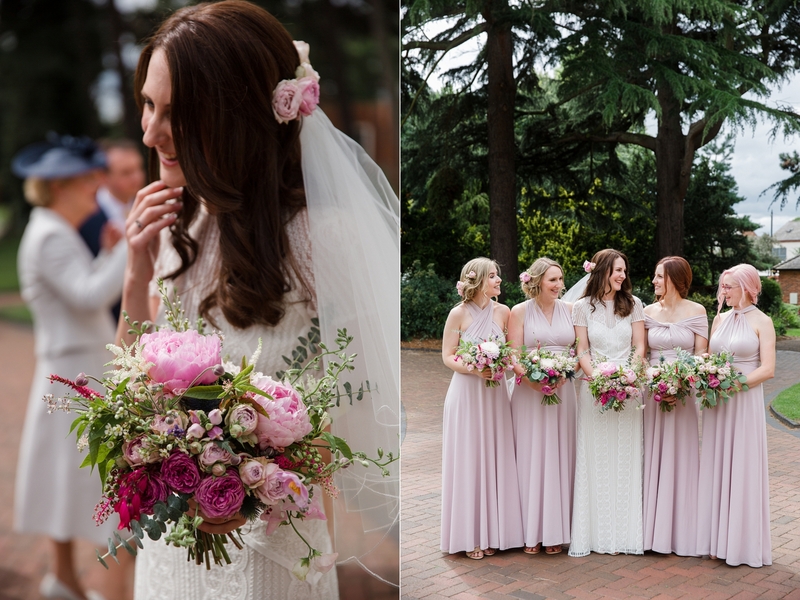 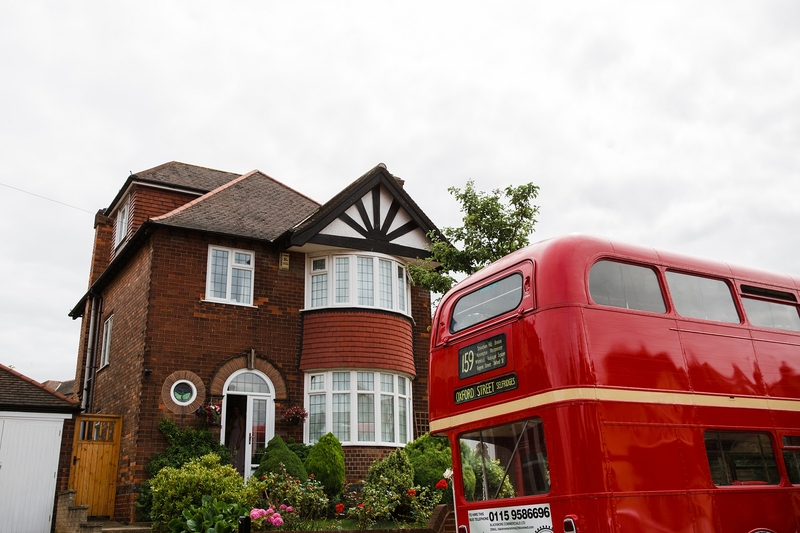 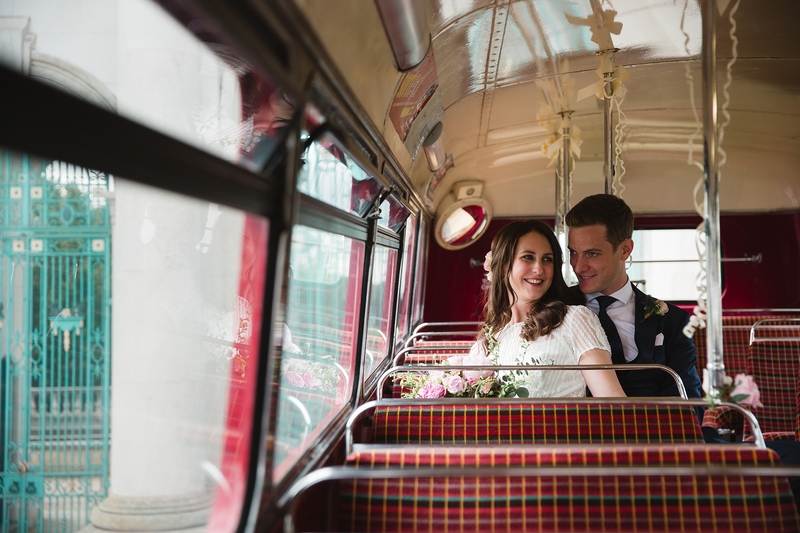 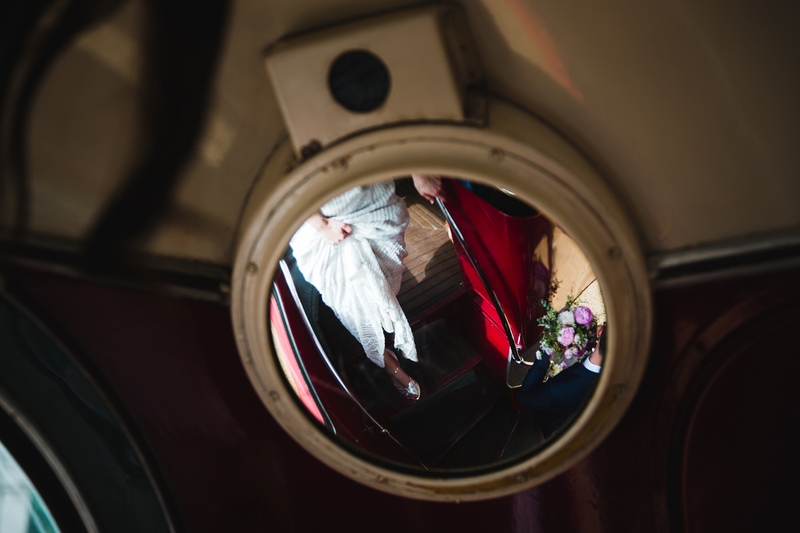 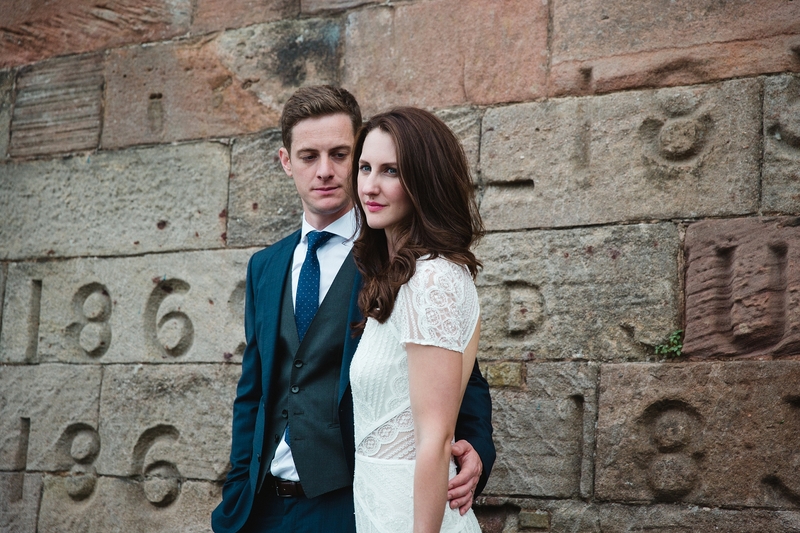 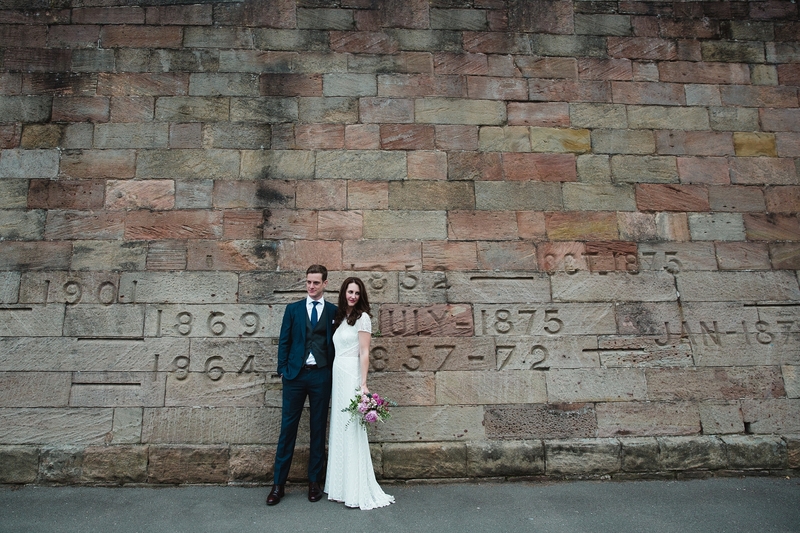 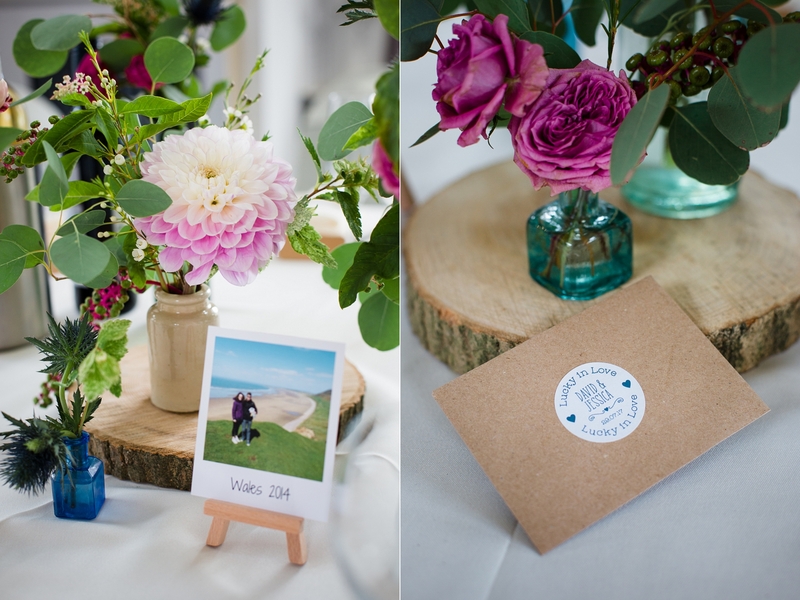 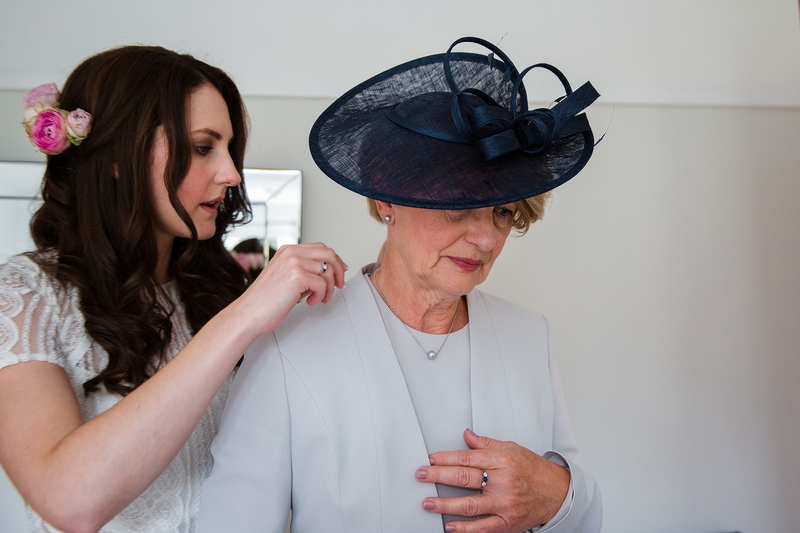 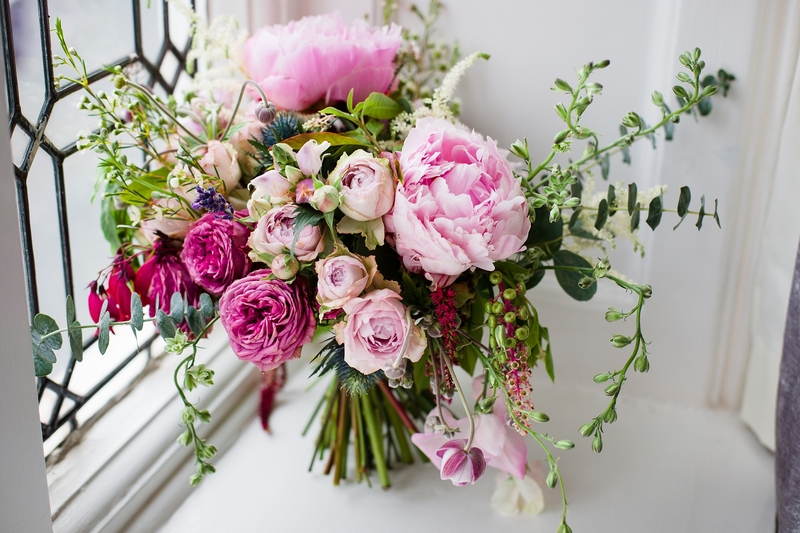 The details of the day were simply beautiful with an elegant, slightly vintage feel. 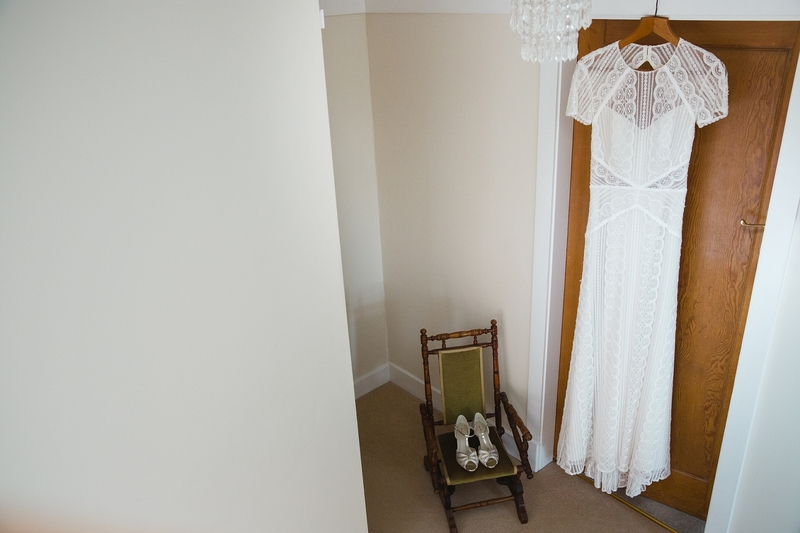 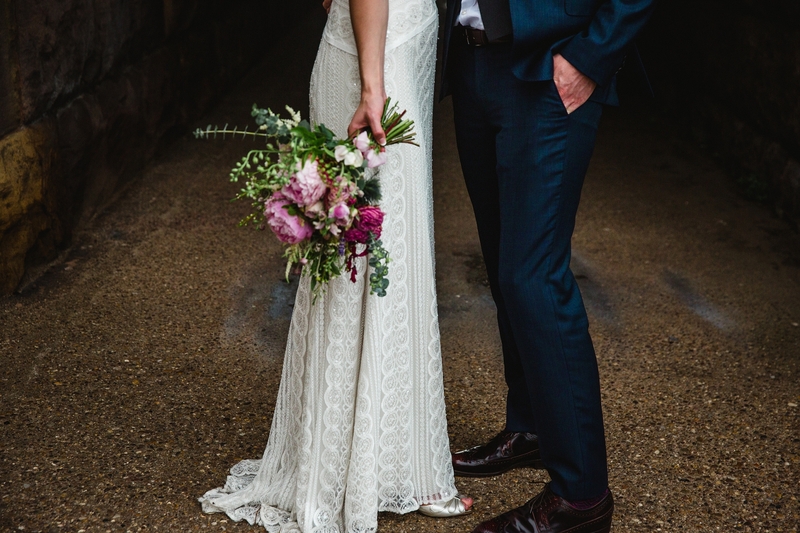 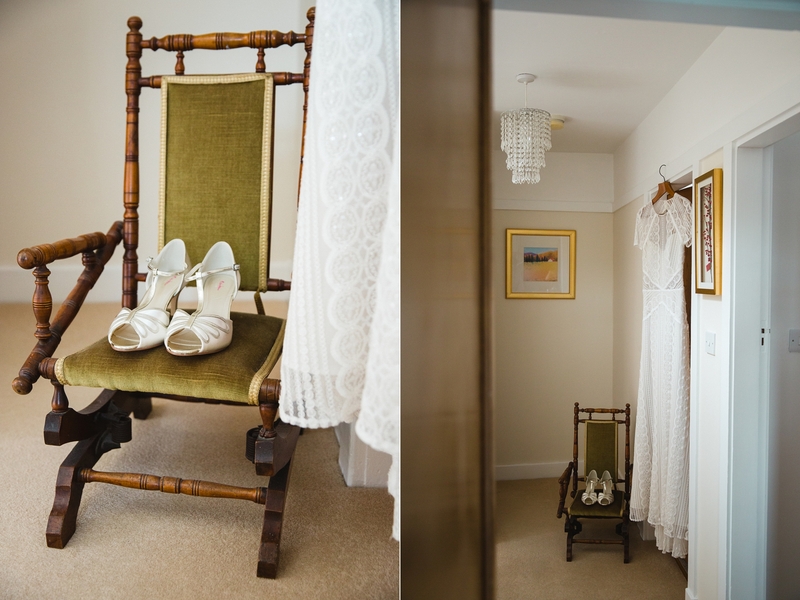 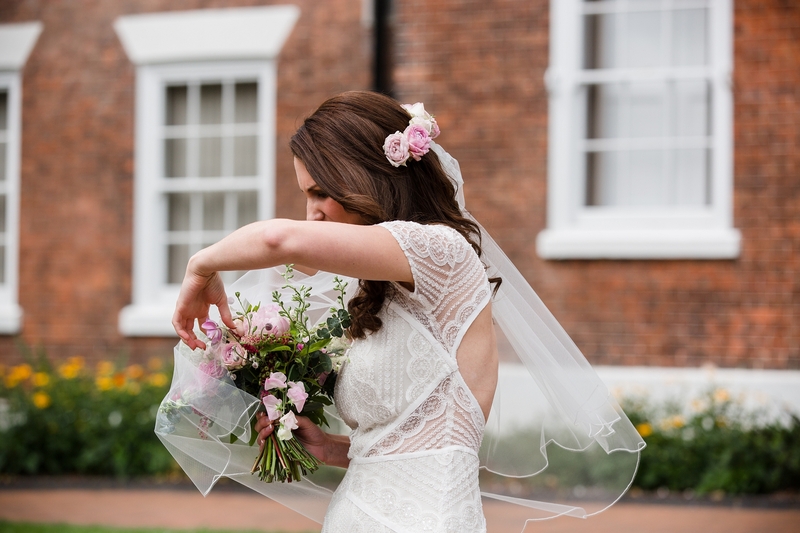 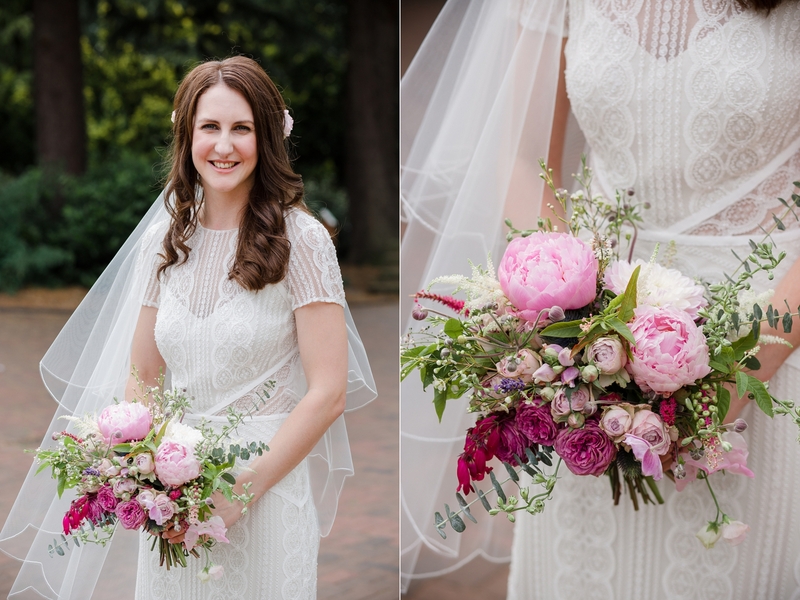 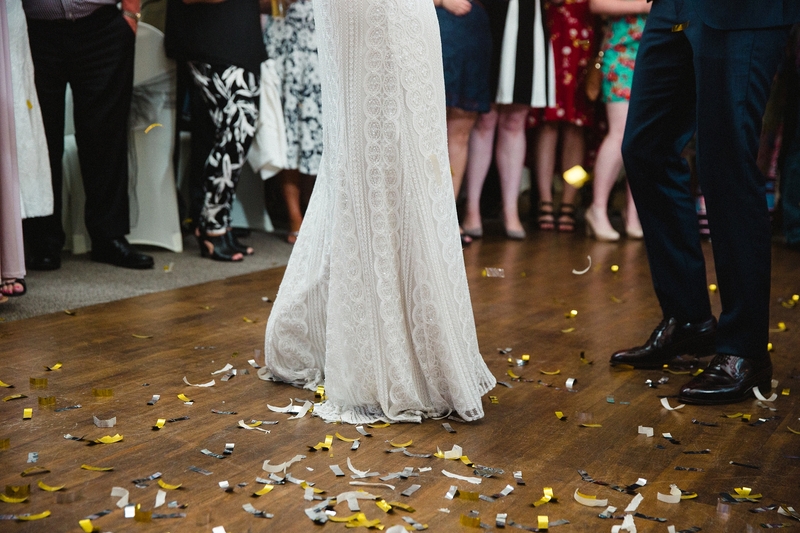 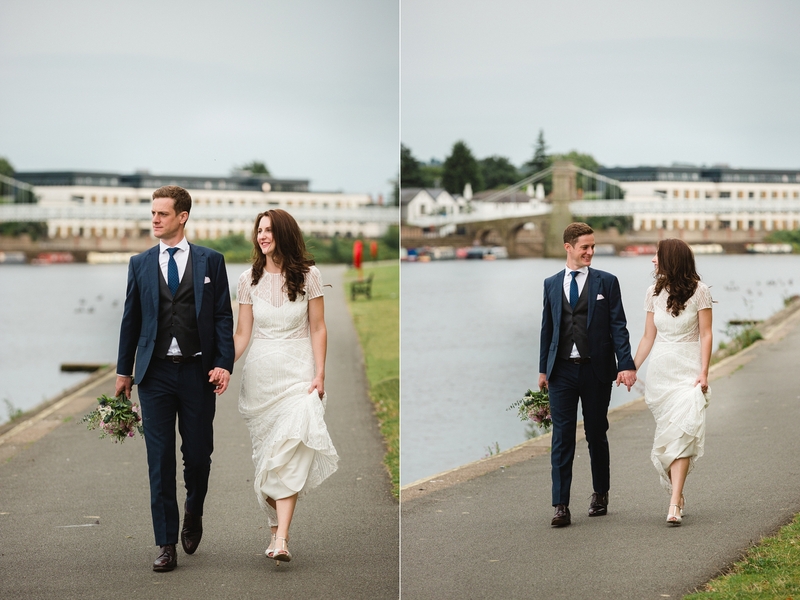 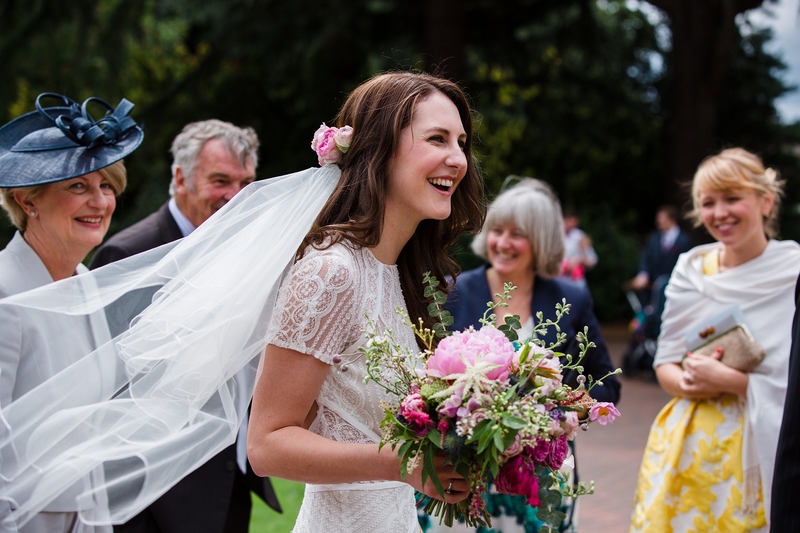 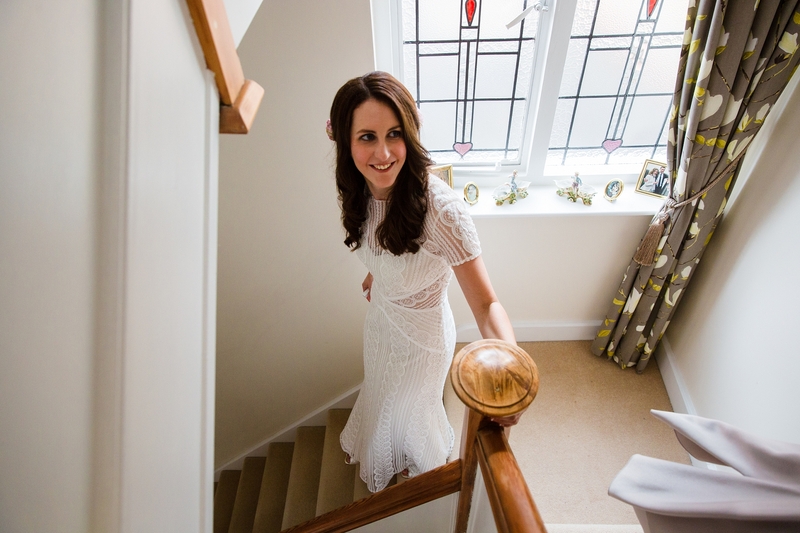 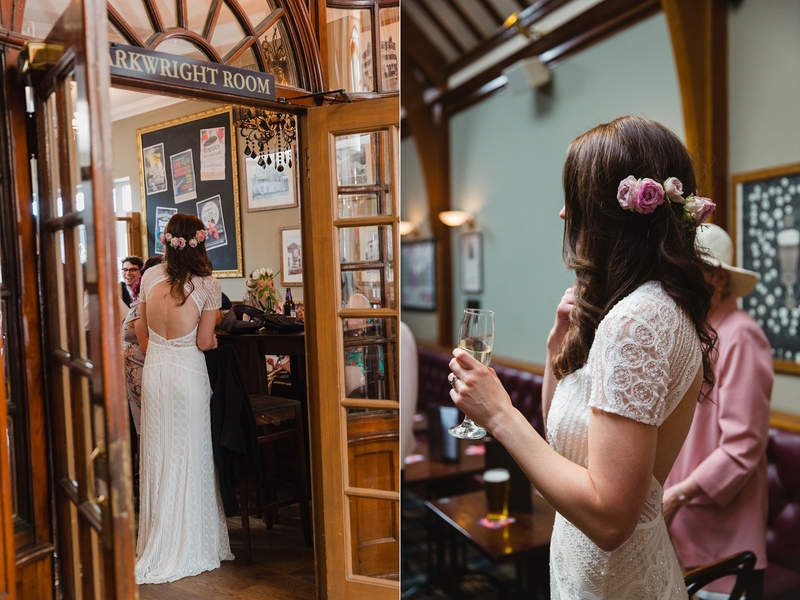 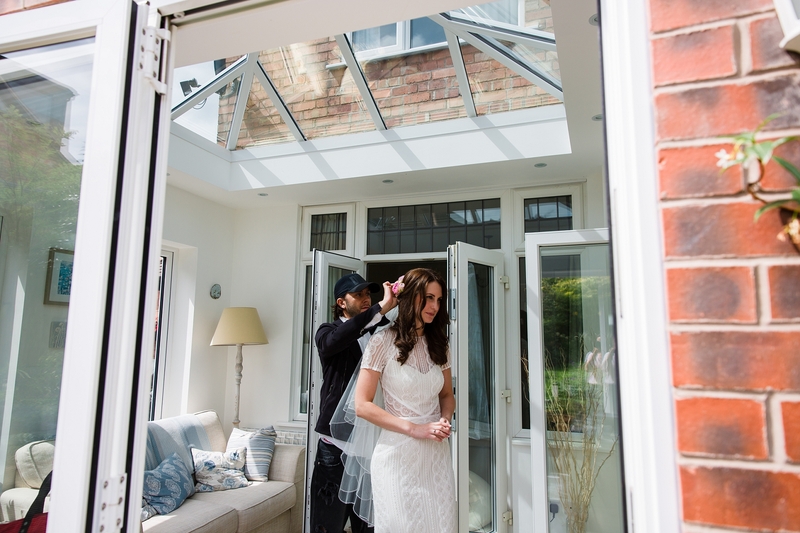 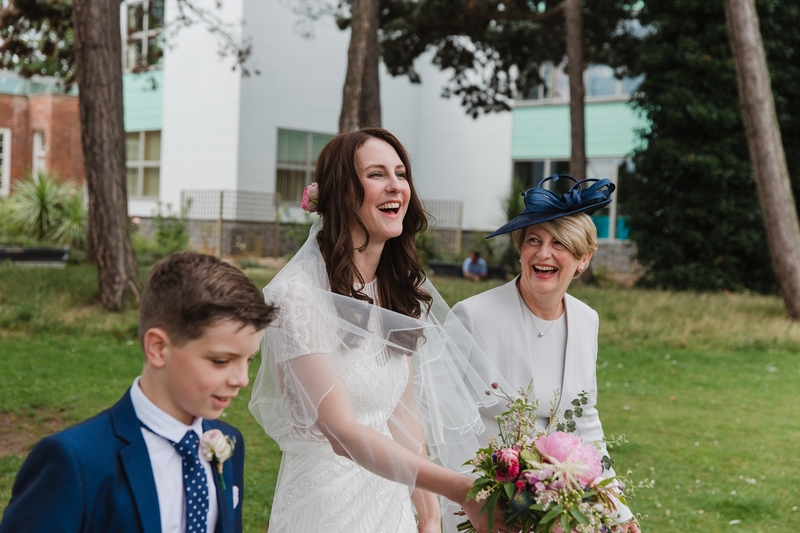 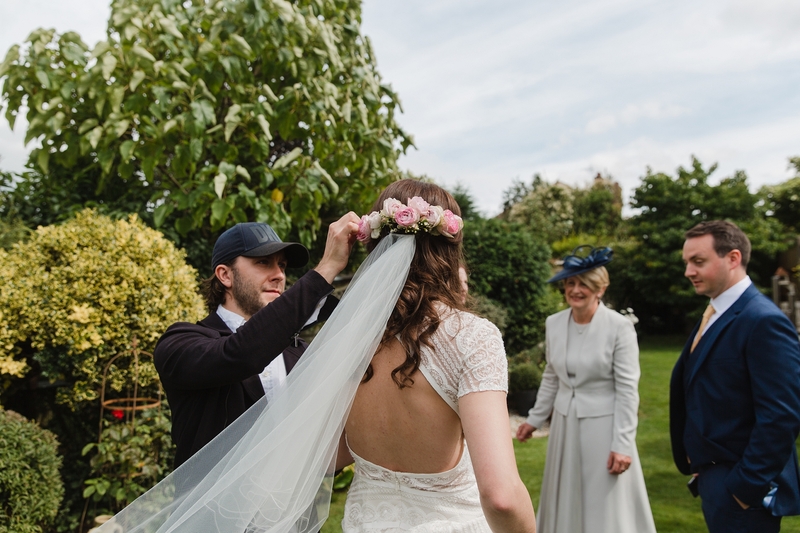 I absolutely loved Jess’ 1920’s style wedding dress, the graceful shape and beautiful lace fabric suited her willowy frame perfectly. 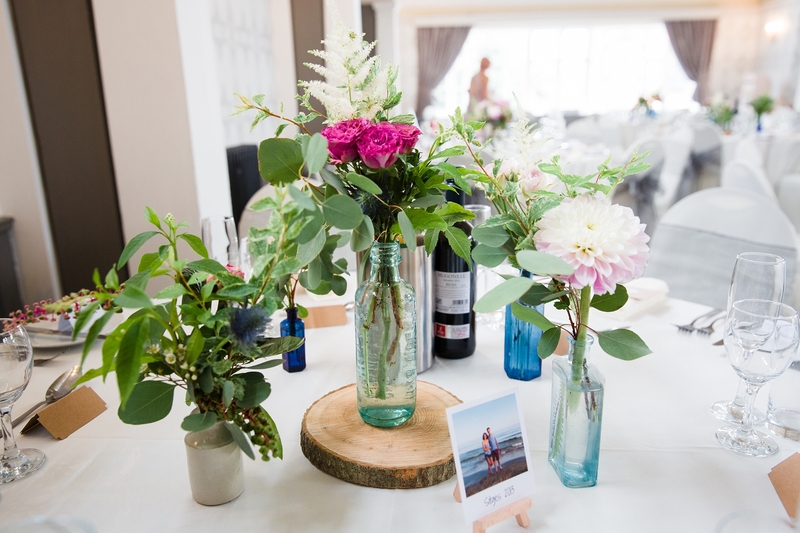 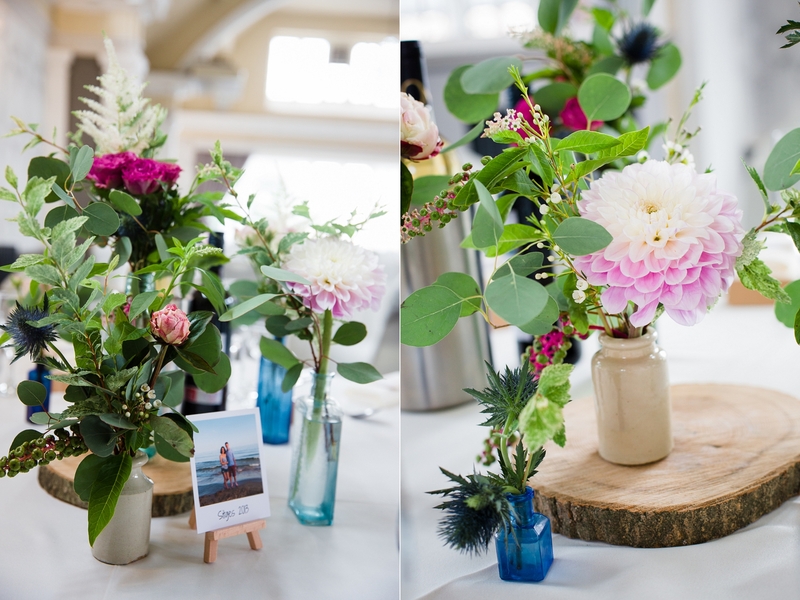 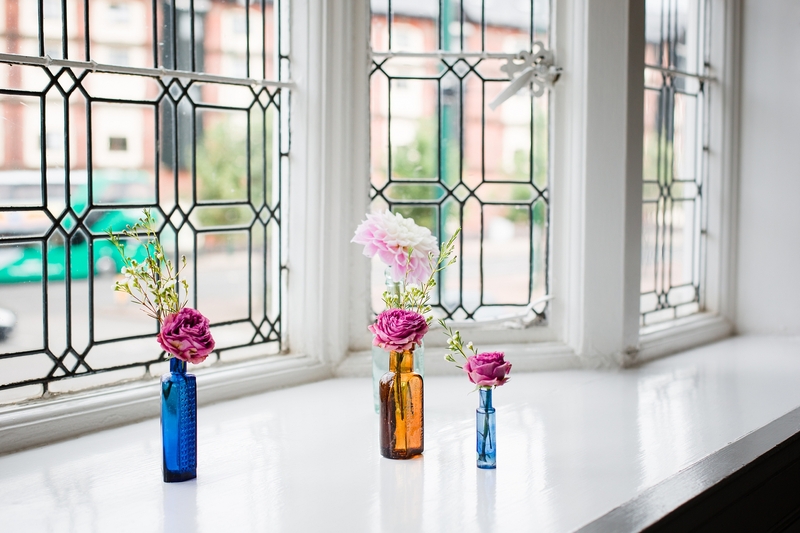 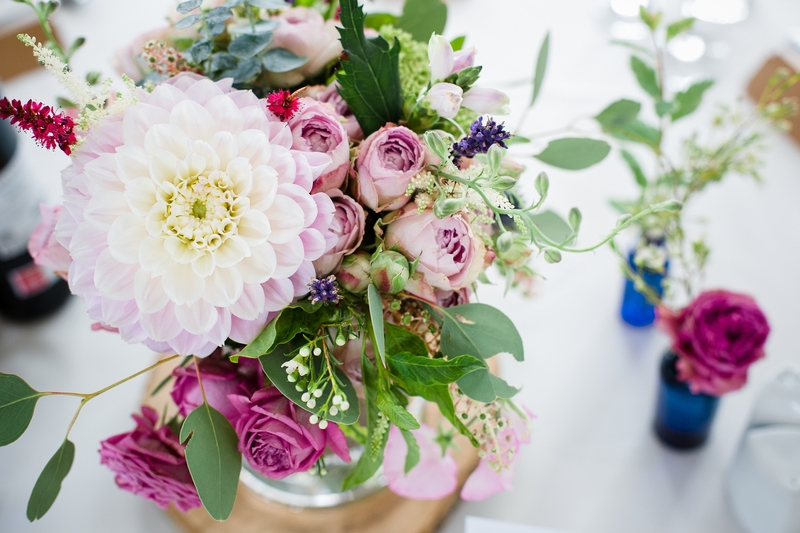 The stunning floral creations of Floraldeco brought the bright upstairs room at the Embankment to life and created a fresh and pretty environment for the light filled reception space. 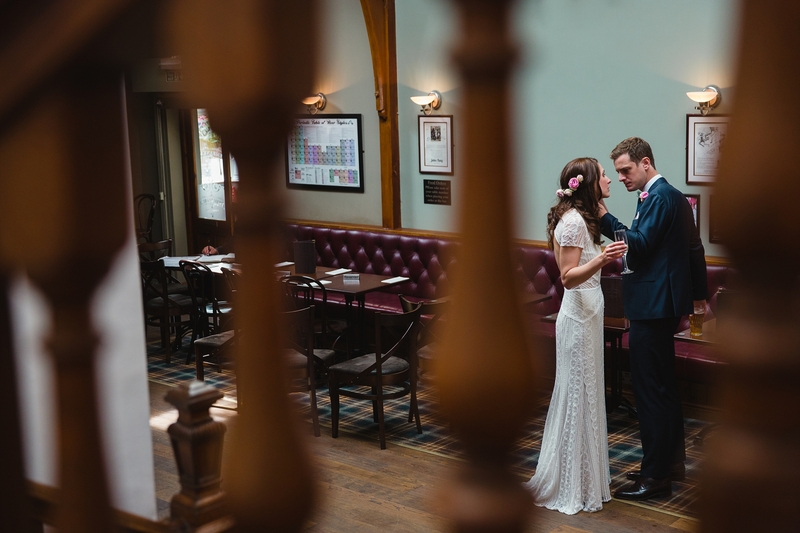 I was chatting to the event’s coordinator during dinner who told me that the grade ii listed building opened in 1902 as the original Boot’s store, and the reception room was used as the Boots social club from 1919. 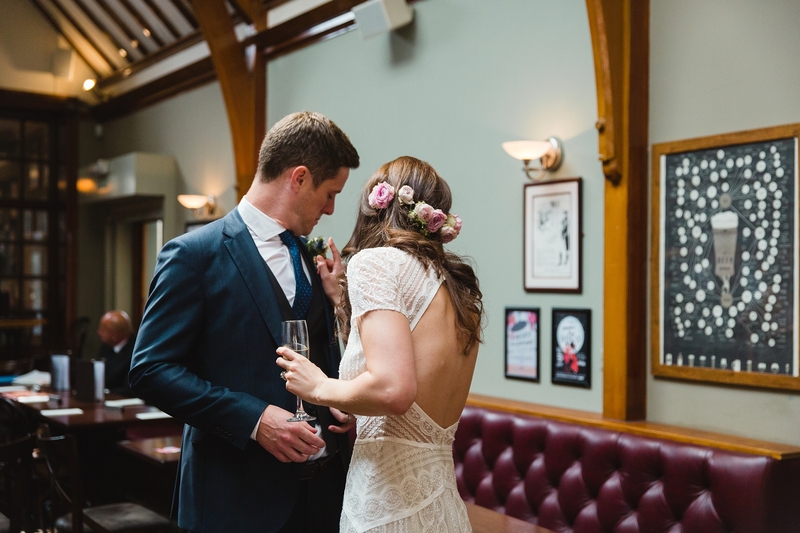 I couldn’t get enough of the amazing original stain glass windows and interesting features of this contemporary inner city wedding venue. 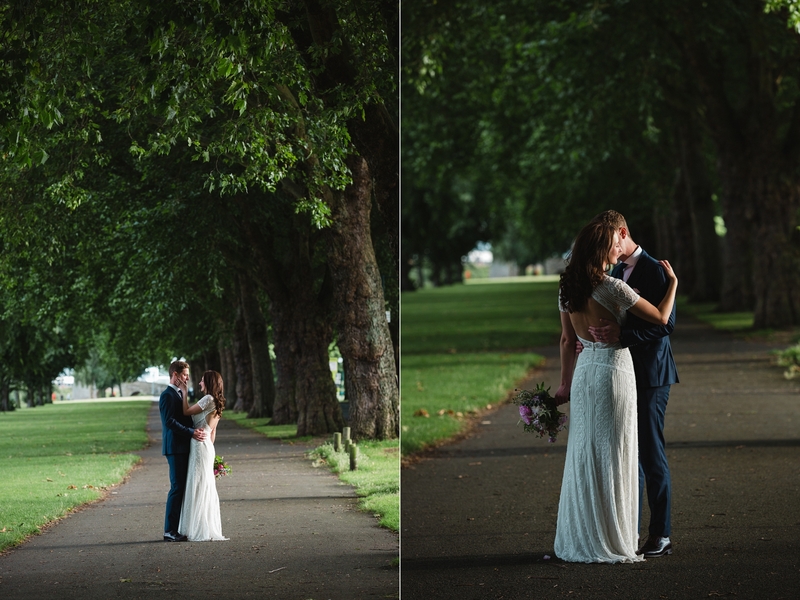 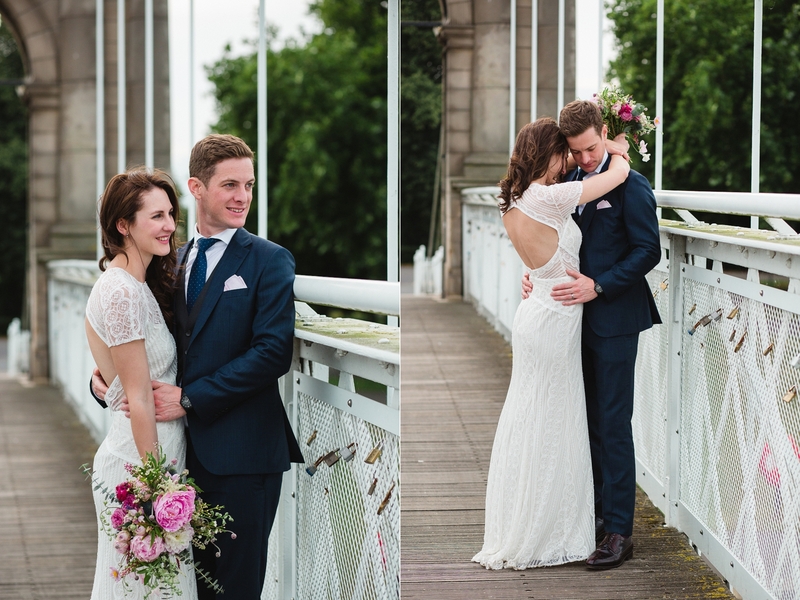 After the speech and wedding breakfast were finished I took a walk with Jess & Dave along the embankment for some intimate couple portraits in the quite cool of a beautiful summers evening. 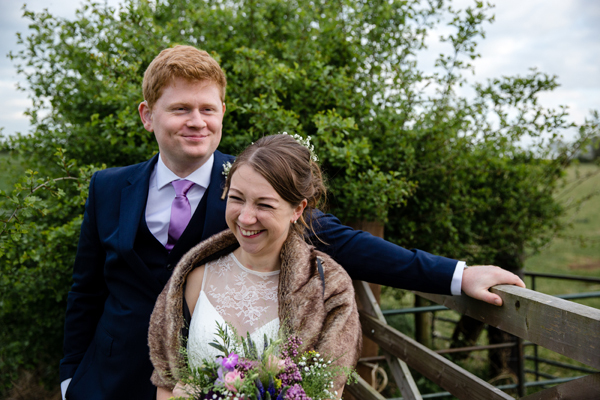 Jess & Dave has expressed on a few occasions just how nervous they were about having their photo taken; you absolutely wouldn’t believe it from the way they were together during their portrait session. 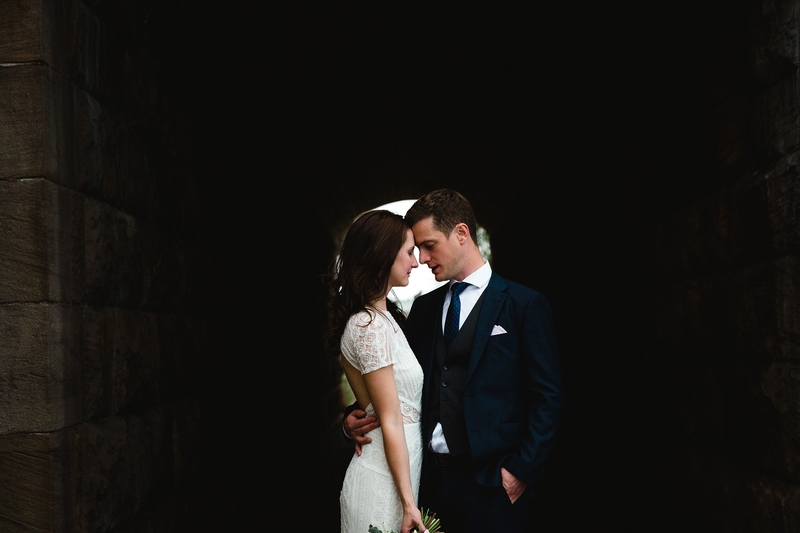 They were cool, relaxed and effortlessly chic and I am in love with the shots we captured together. 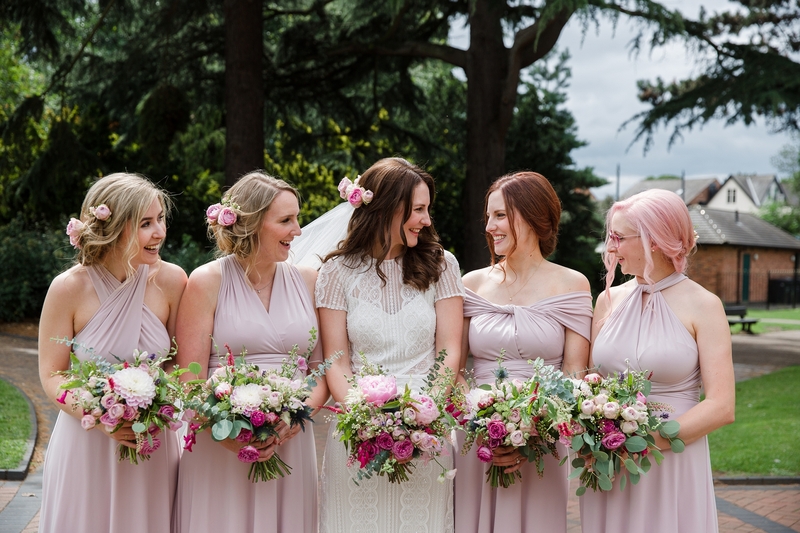 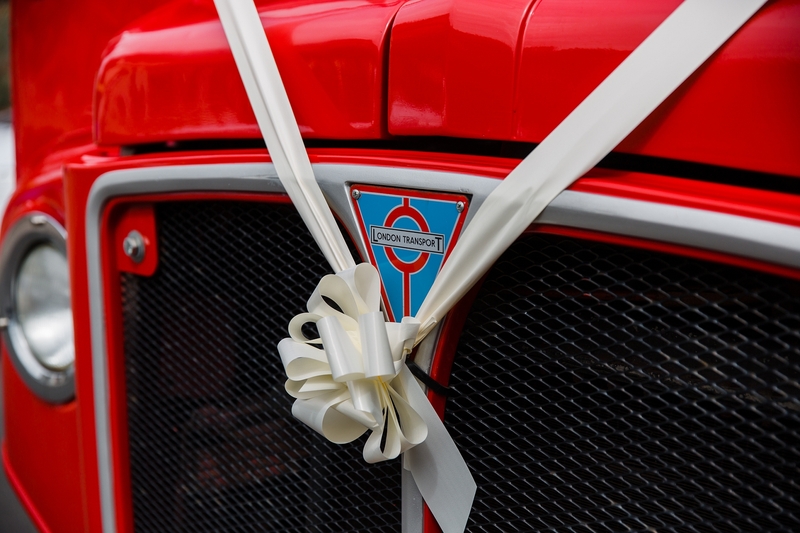 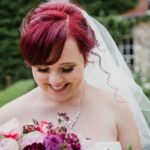 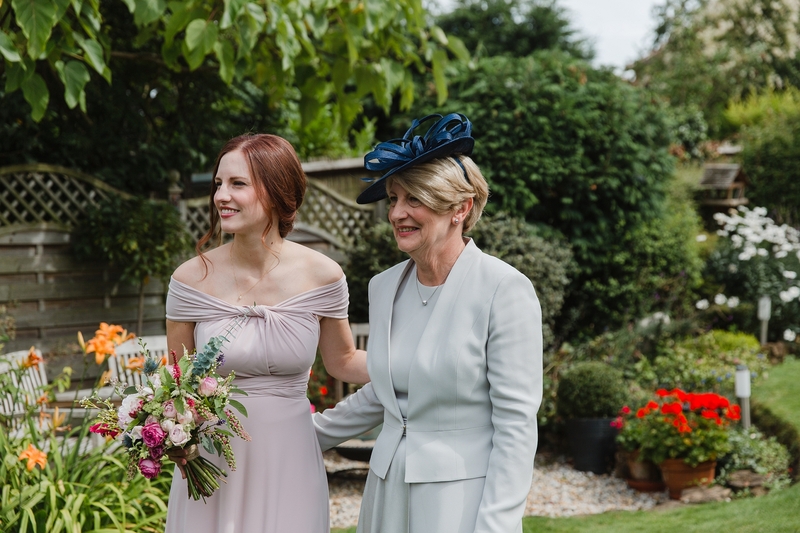 I was absolutely delighted when this amazing wedding was featured on the fabulous Love My Dress wedding blog last year – you can see the post here. 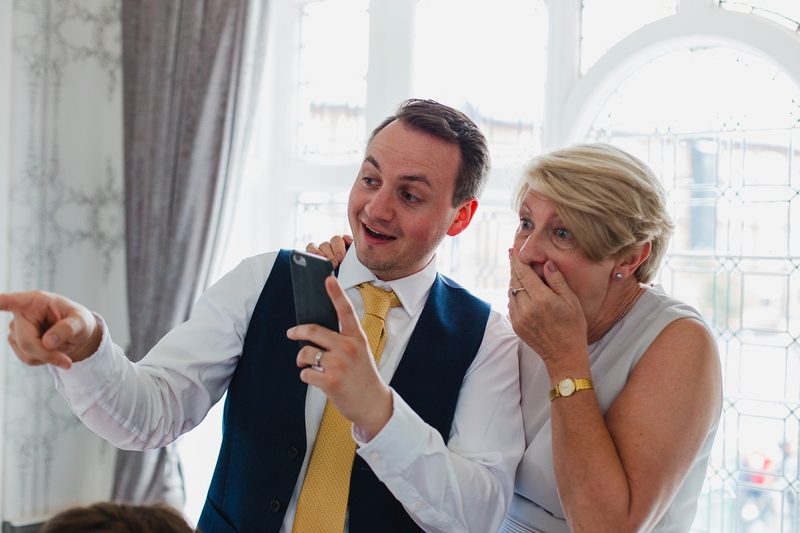 Your comments are so wonderful and your photography spectacular!